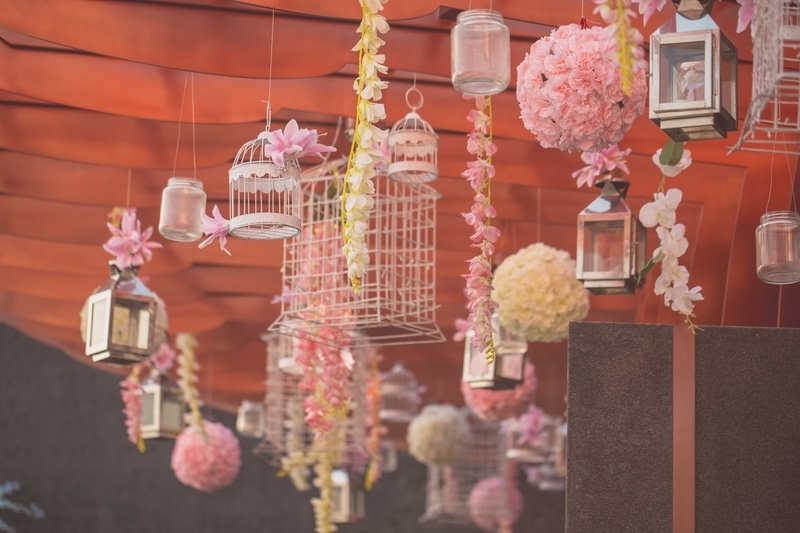 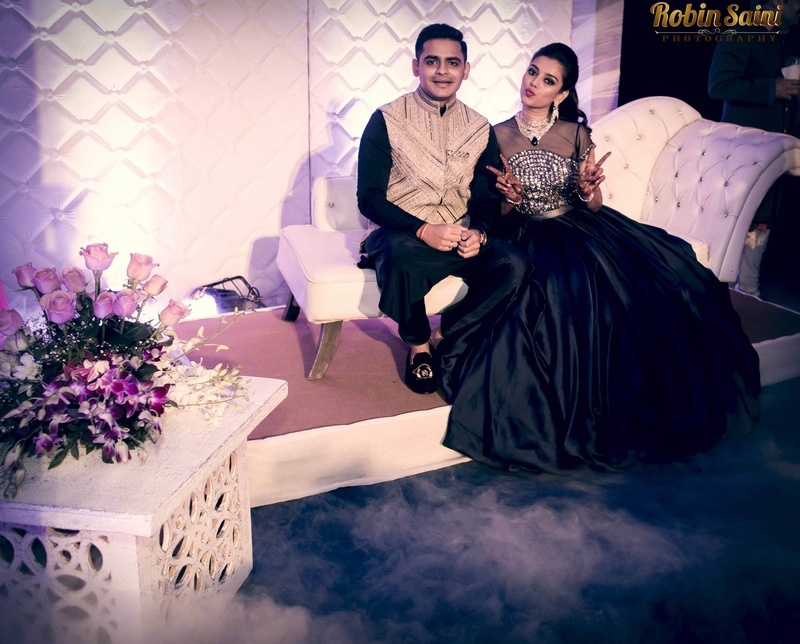 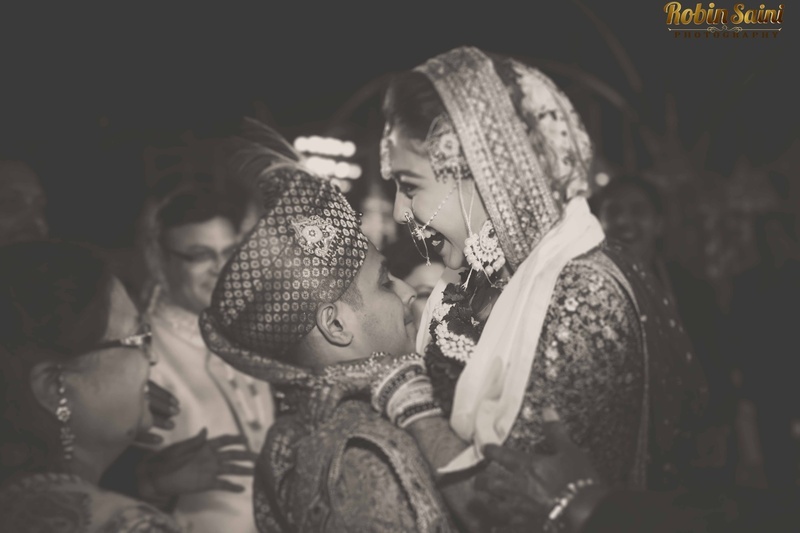 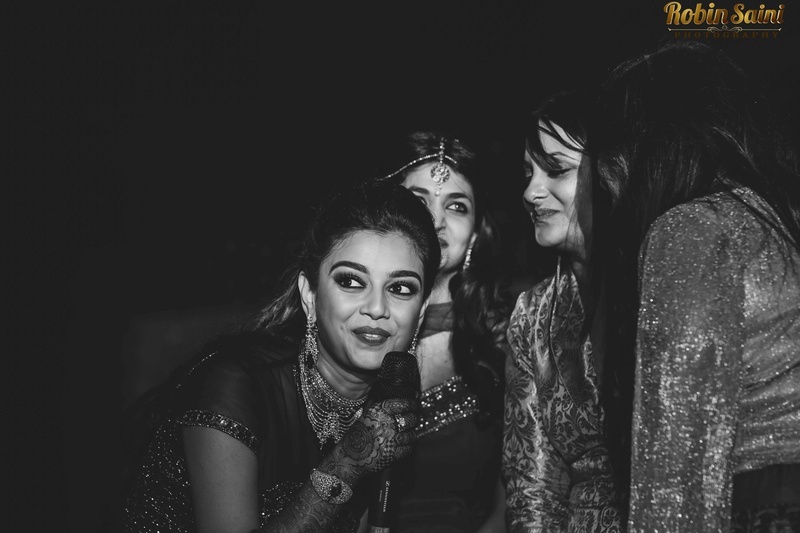 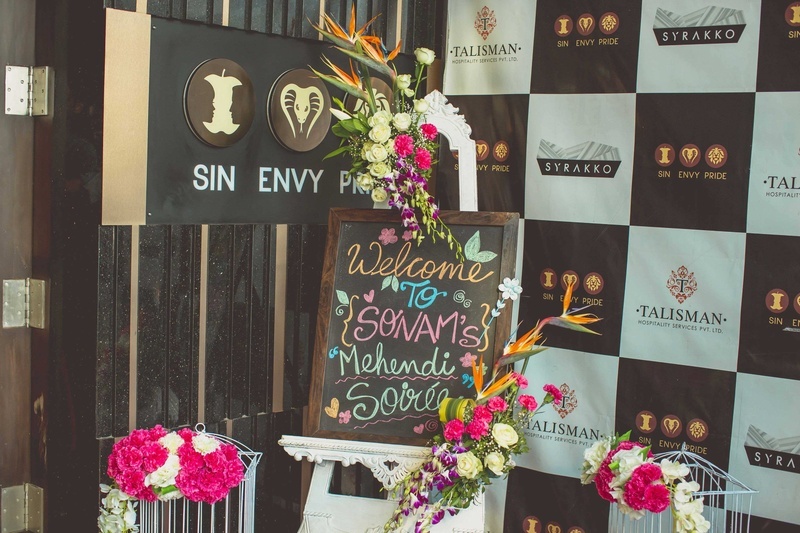 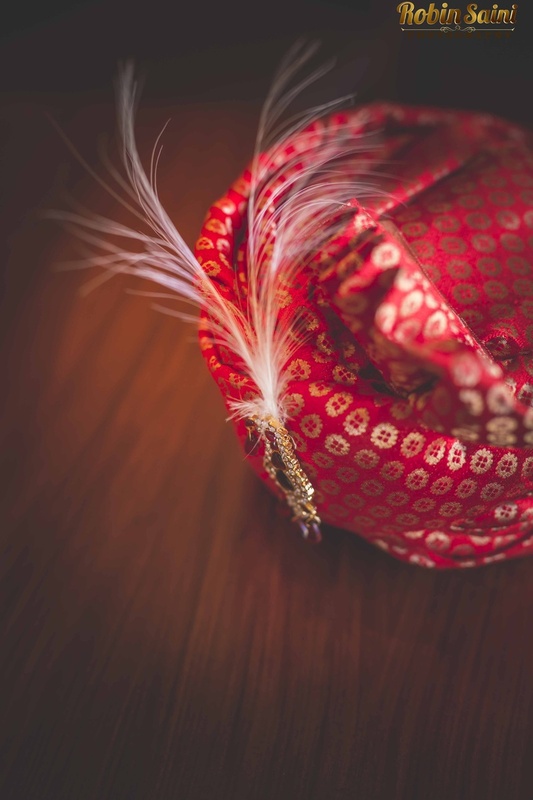 Dropped fresh in our inbox by Robin Saini was Sonam and Raunak’s majestic wedding held at Oxford Golf and Country Club, Pune. 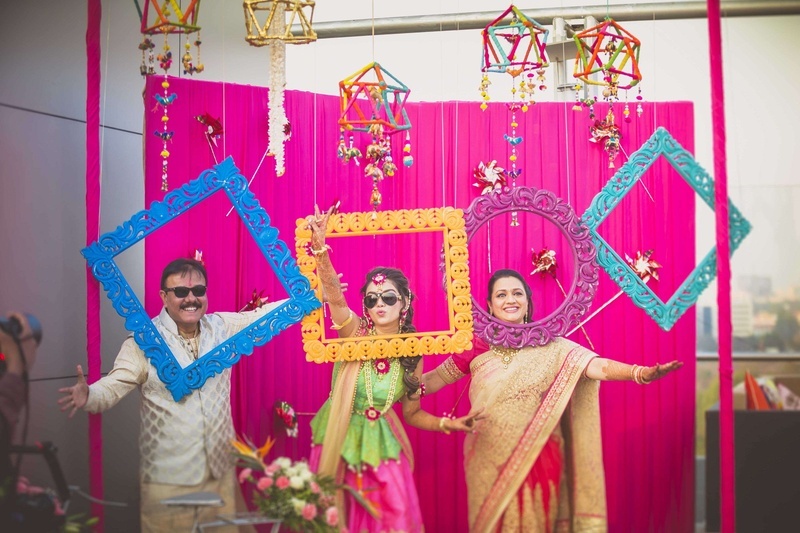 When a bride is also a young preppy designer, we just knew this wedding would blow our minds. 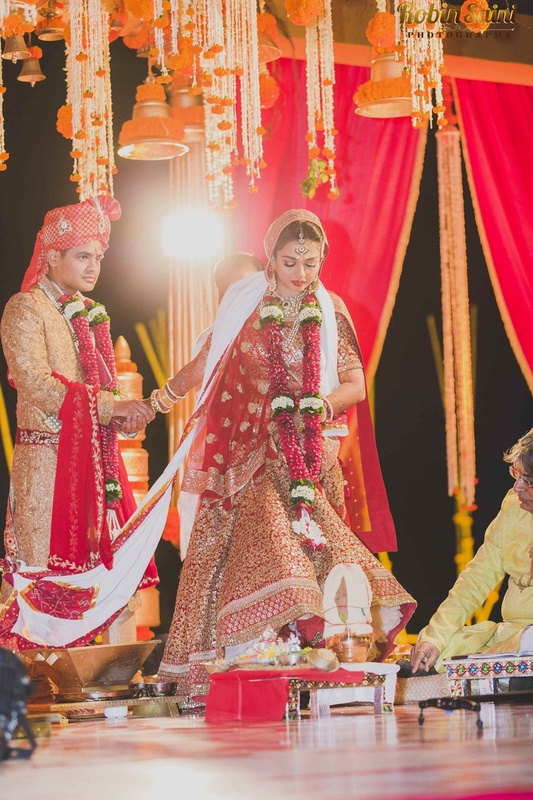 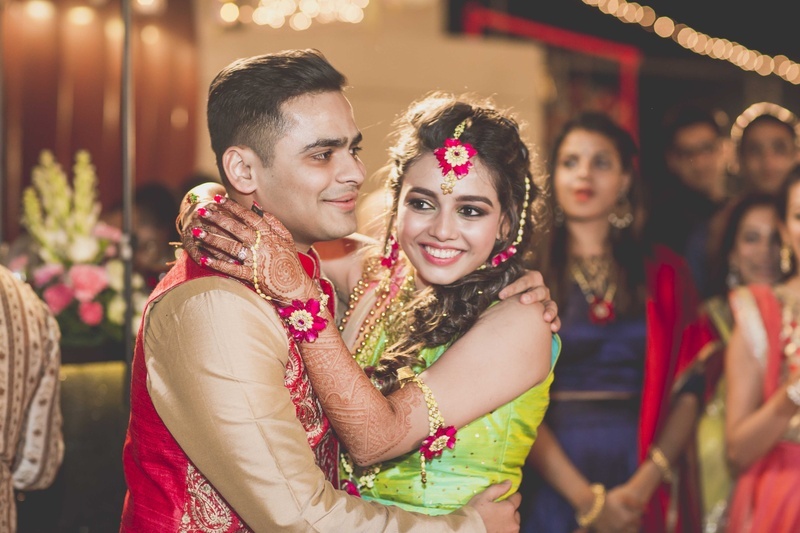 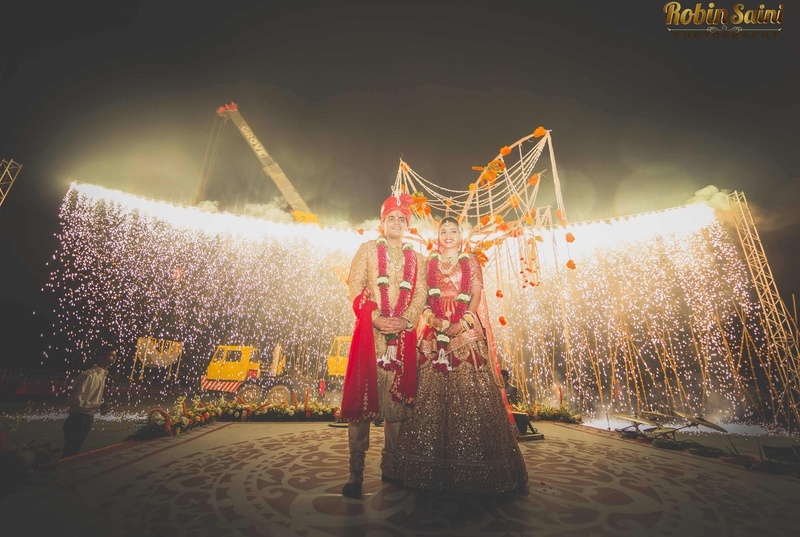 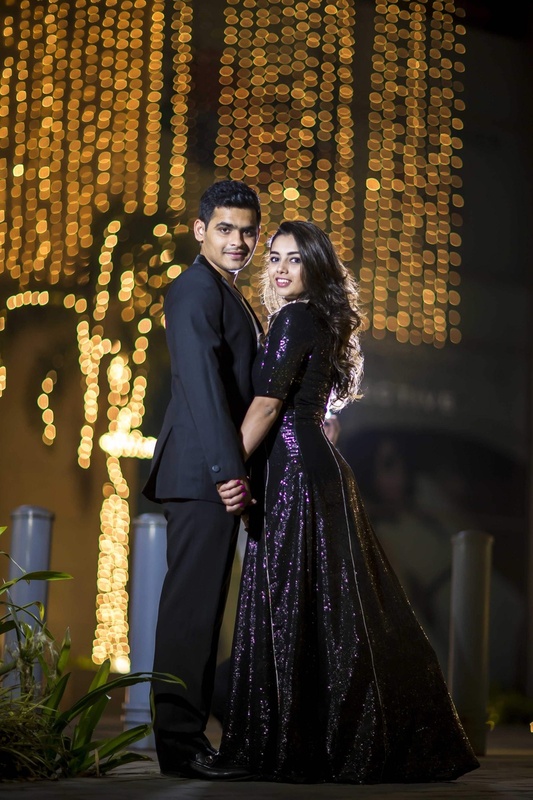 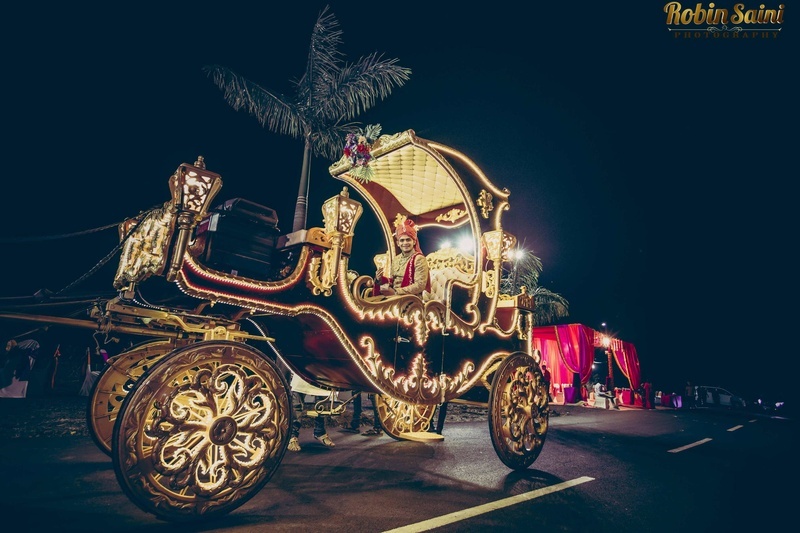 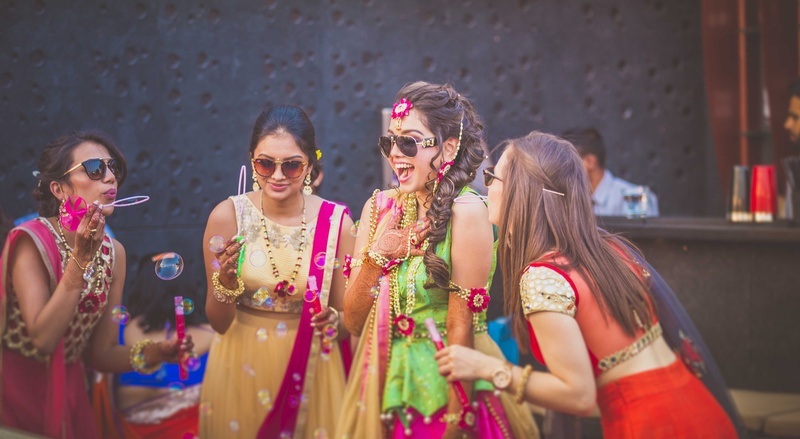 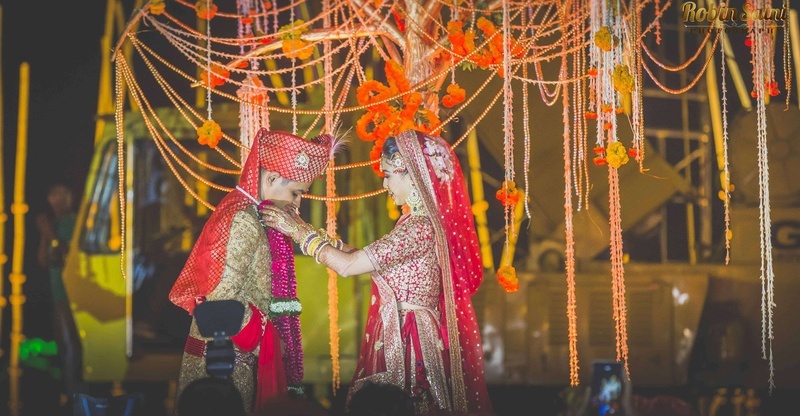 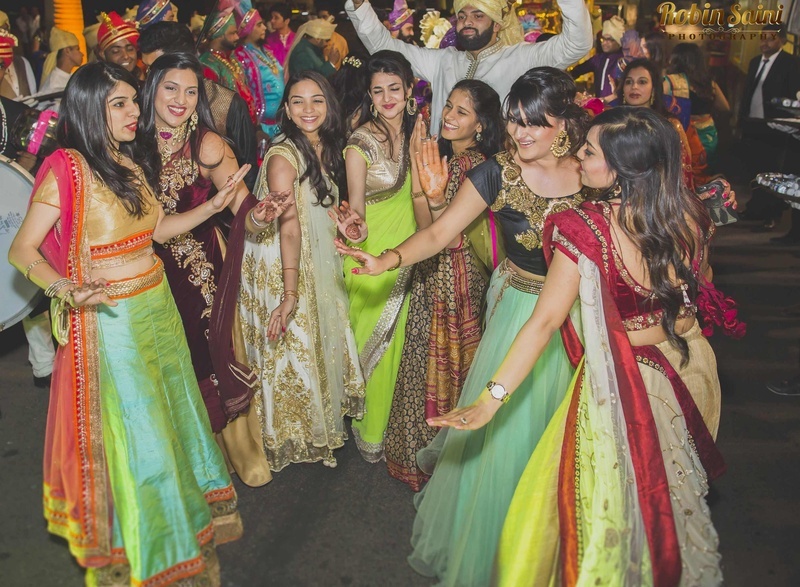 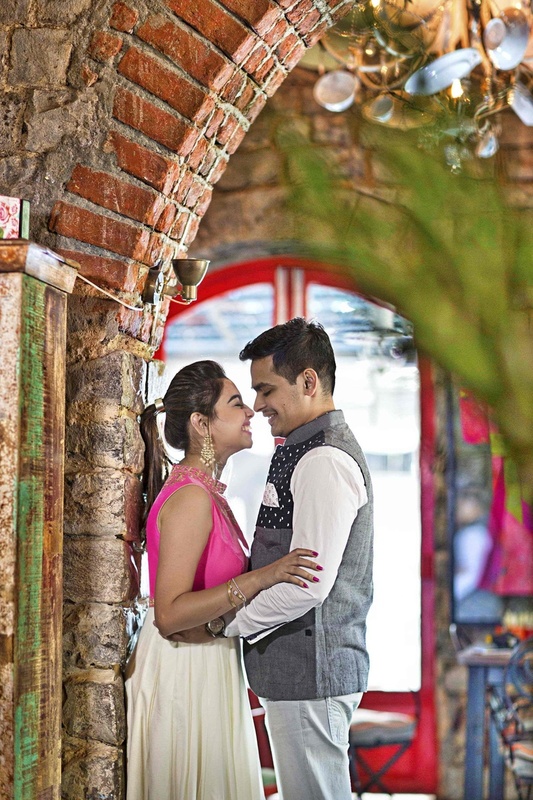 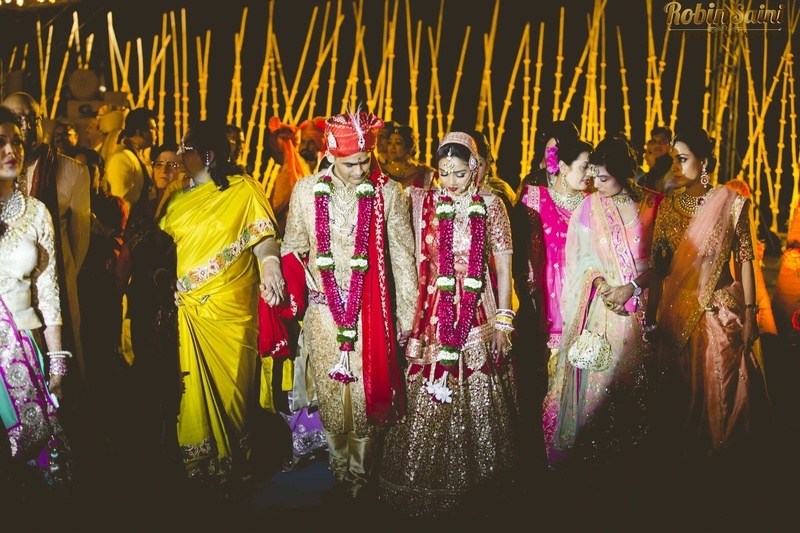 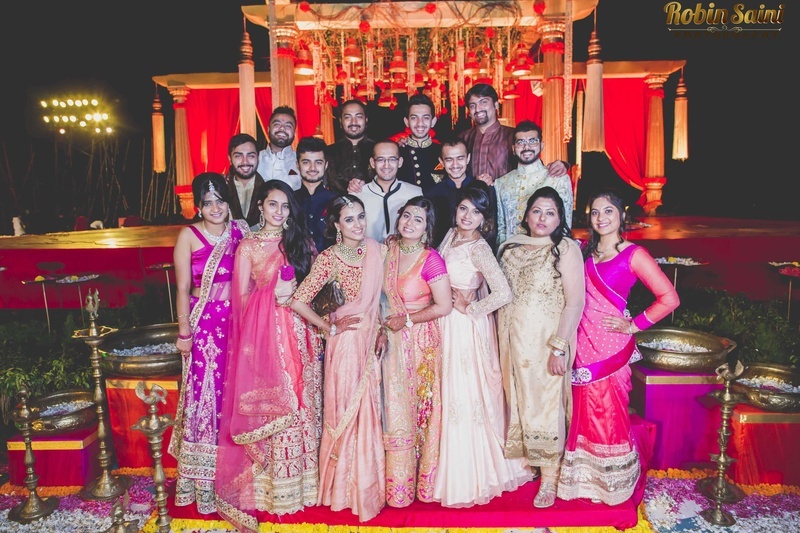 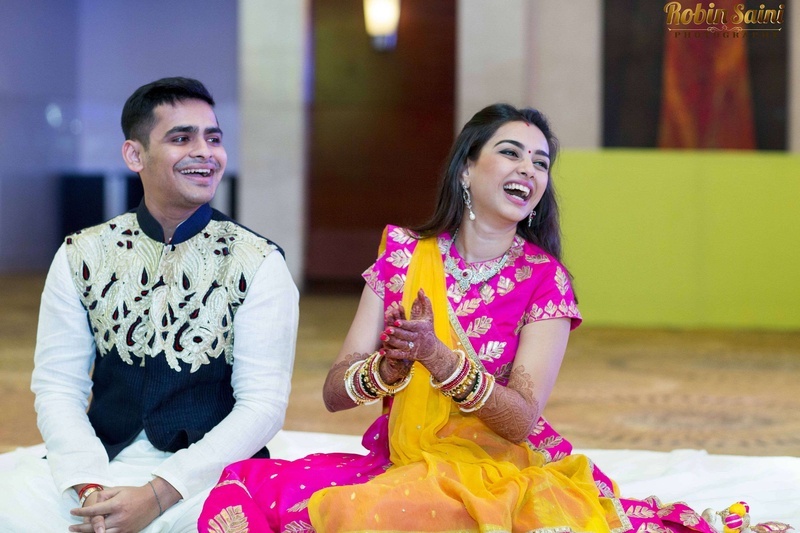 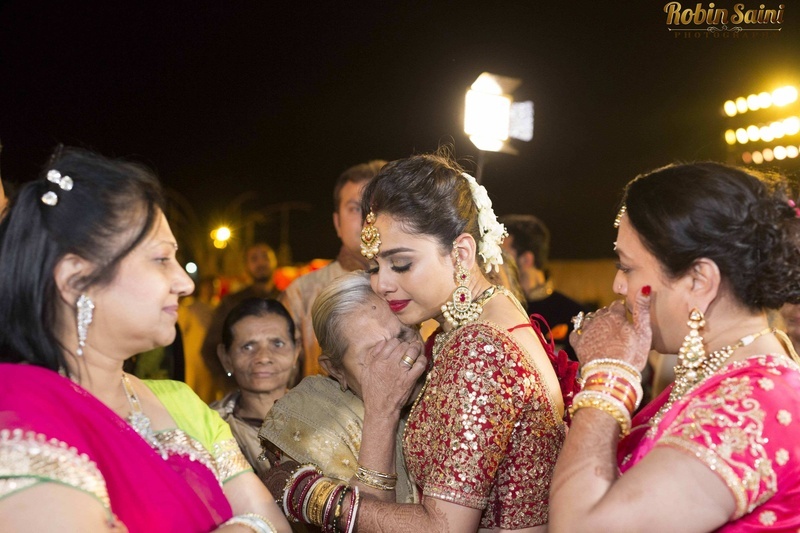 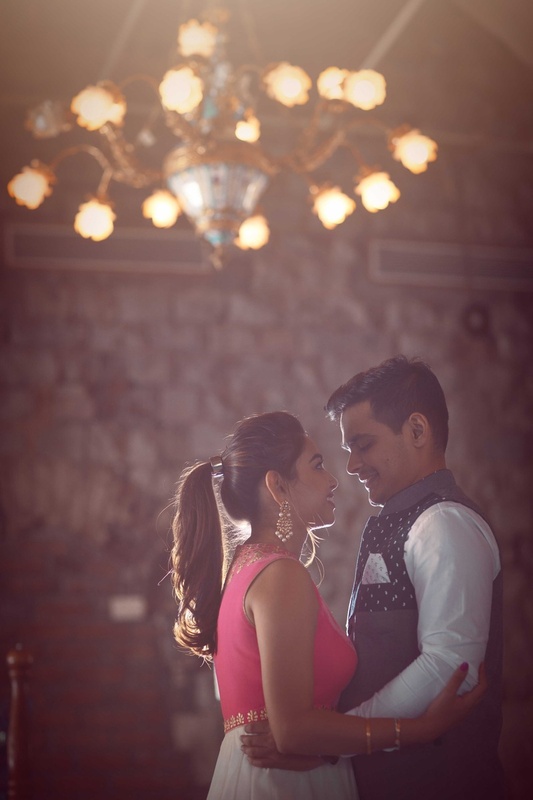 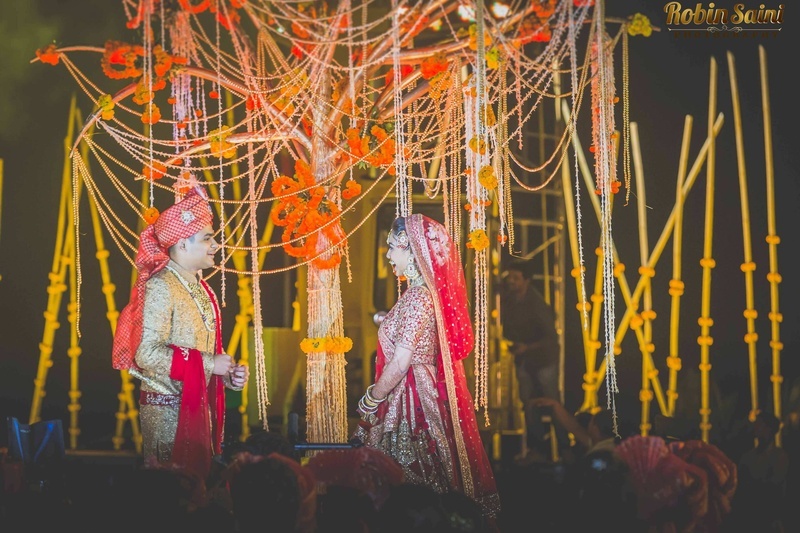 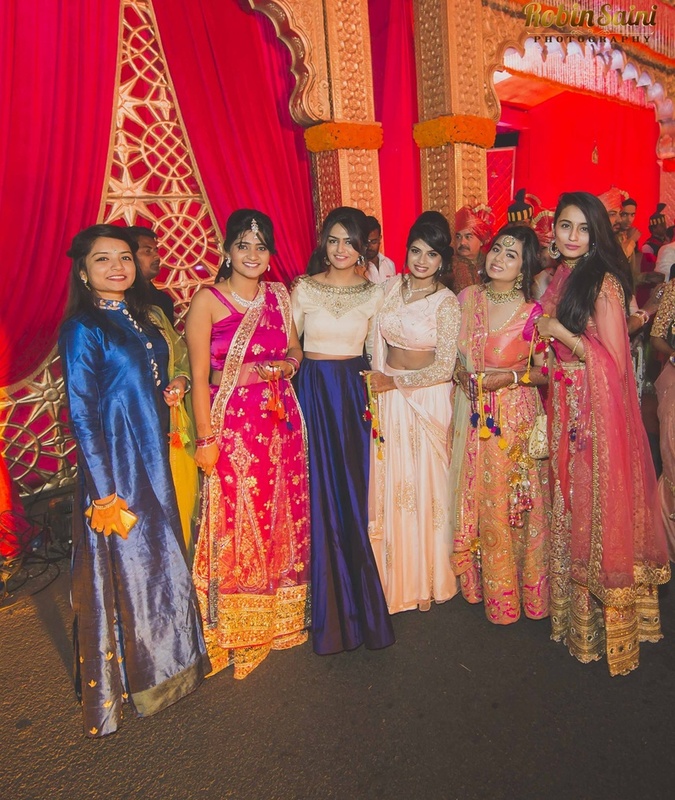 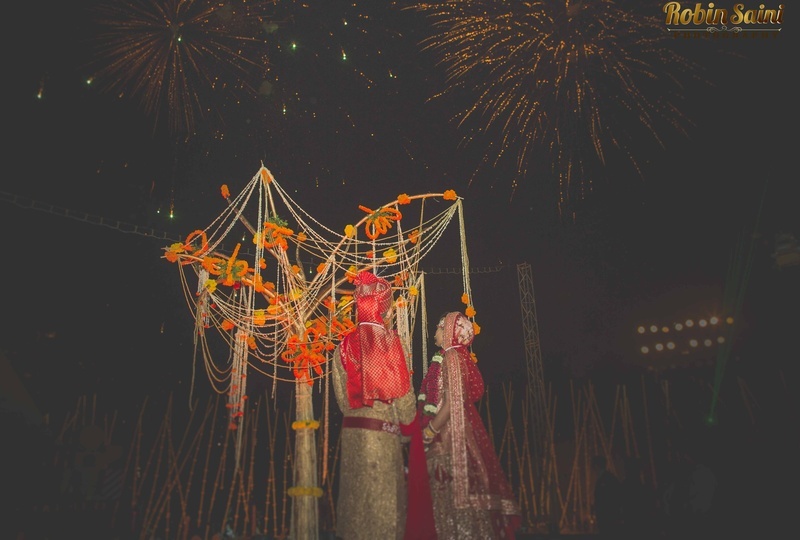 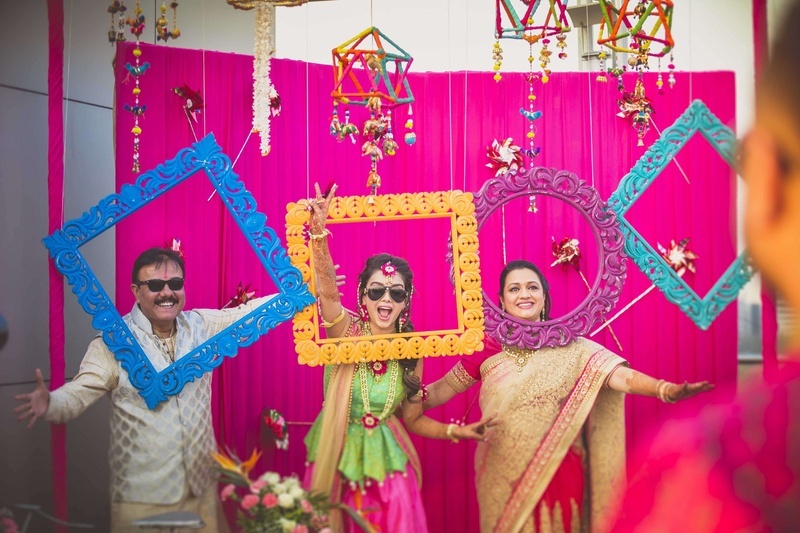 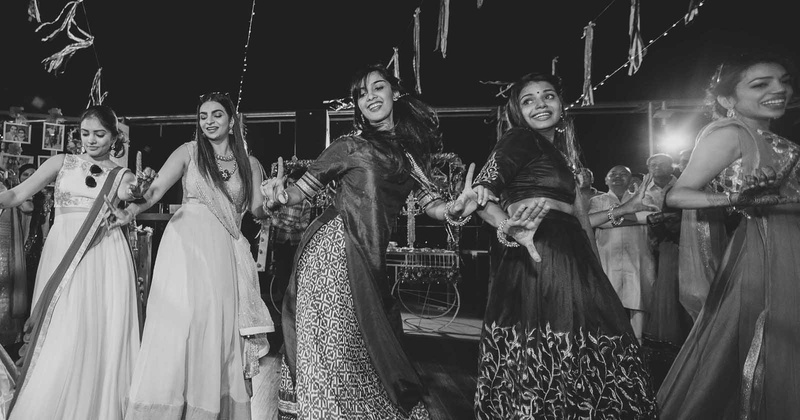 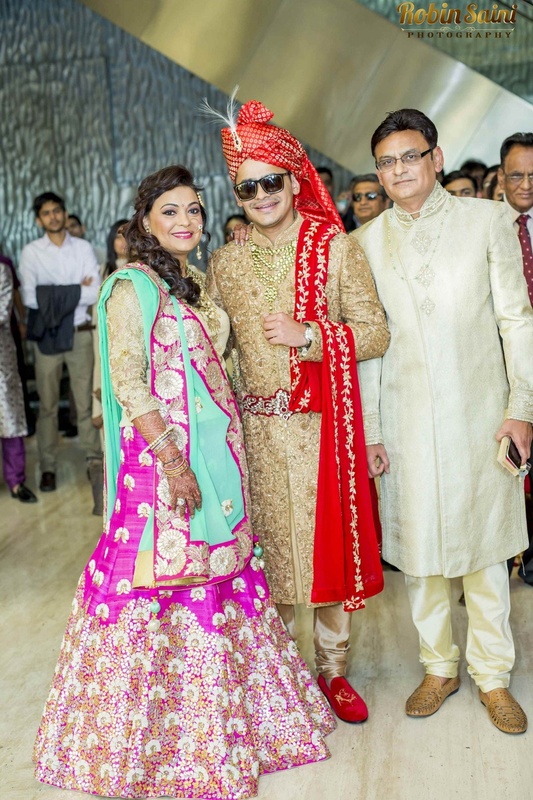 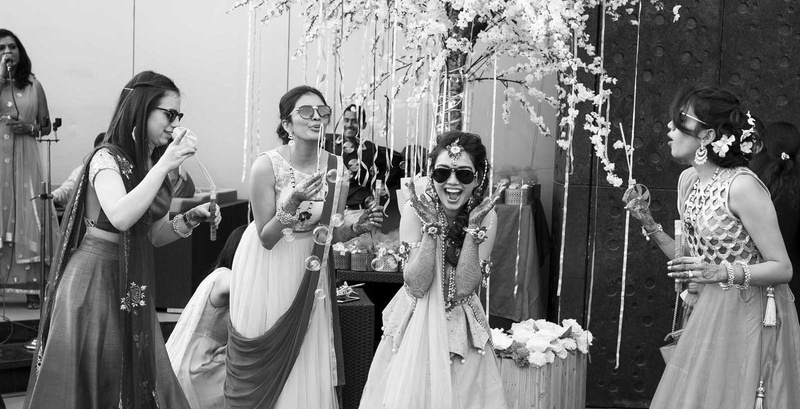 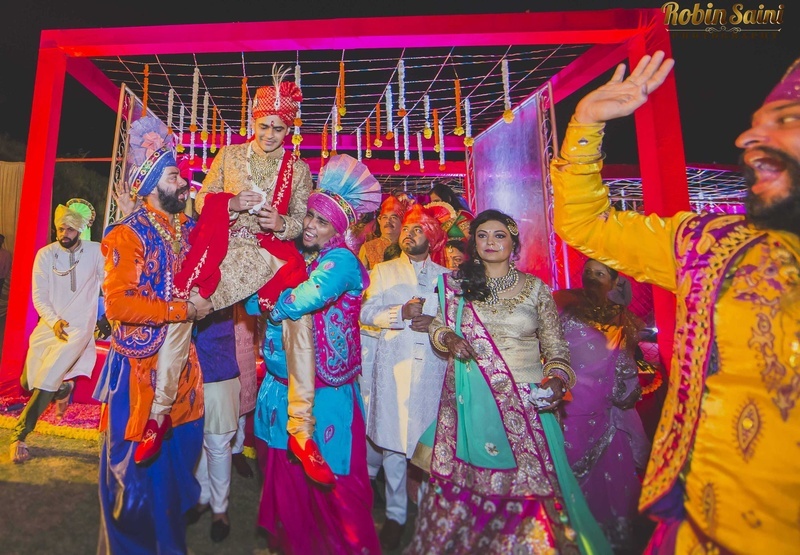 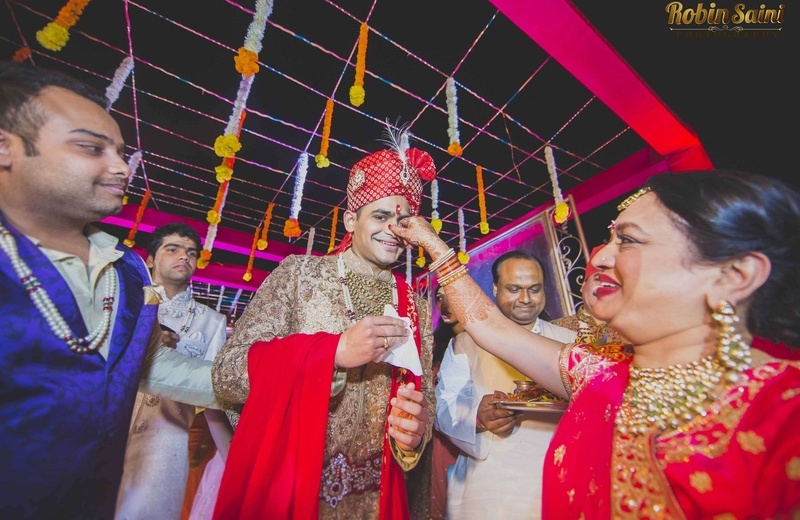 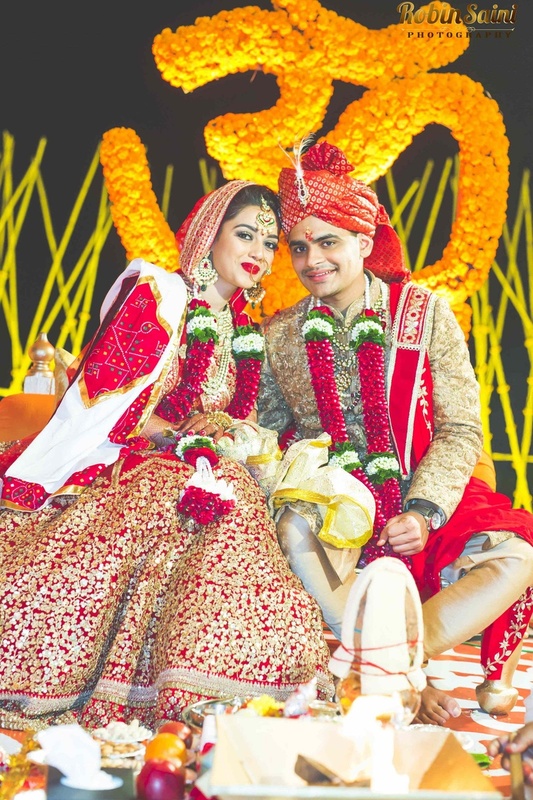 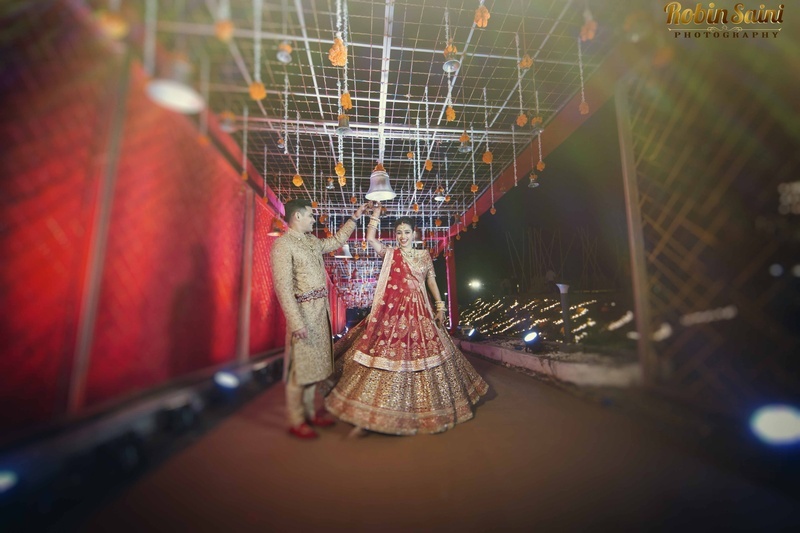 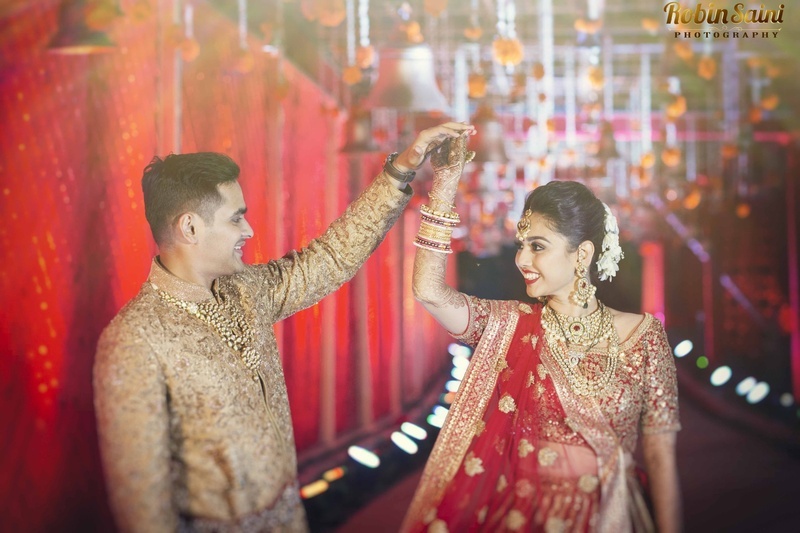 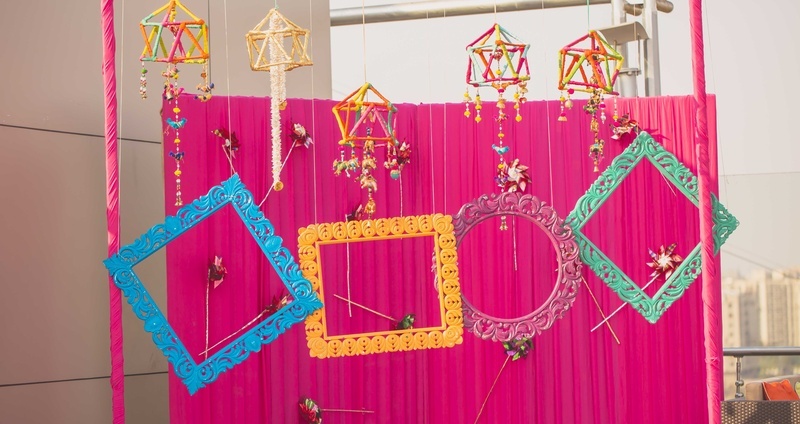 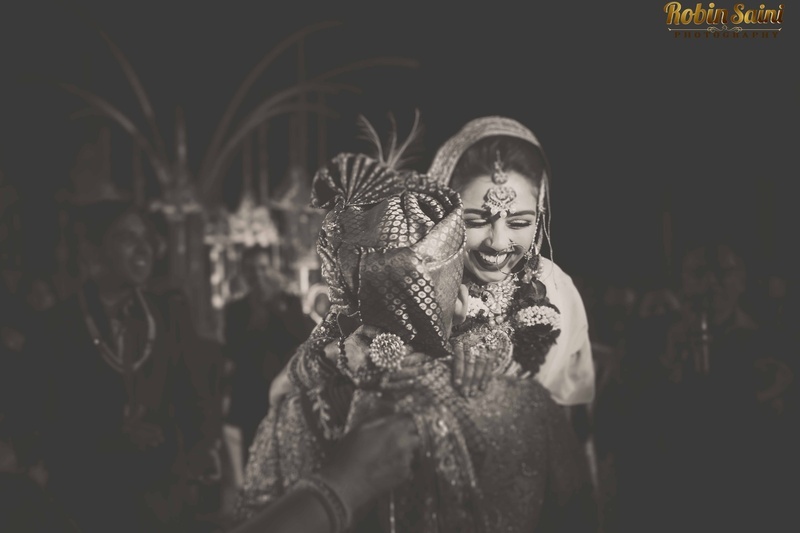 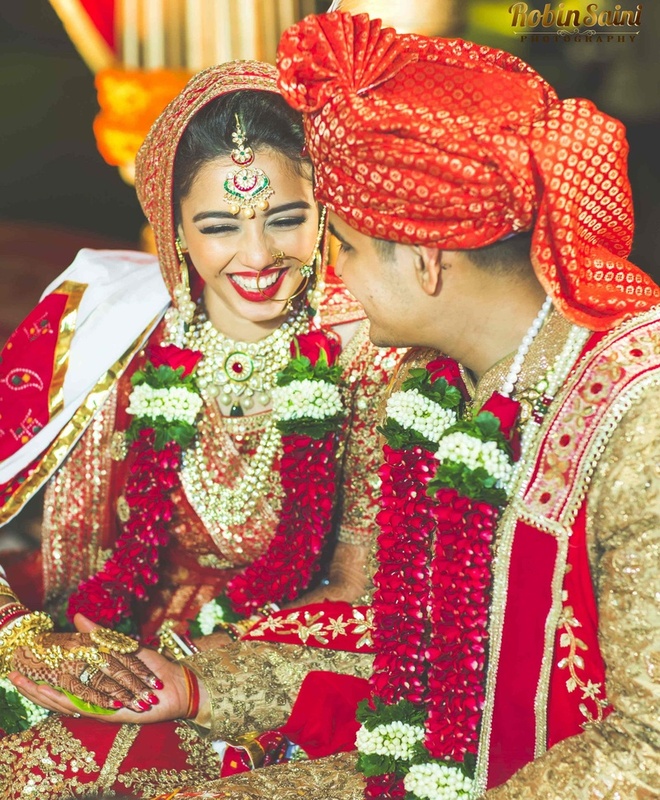 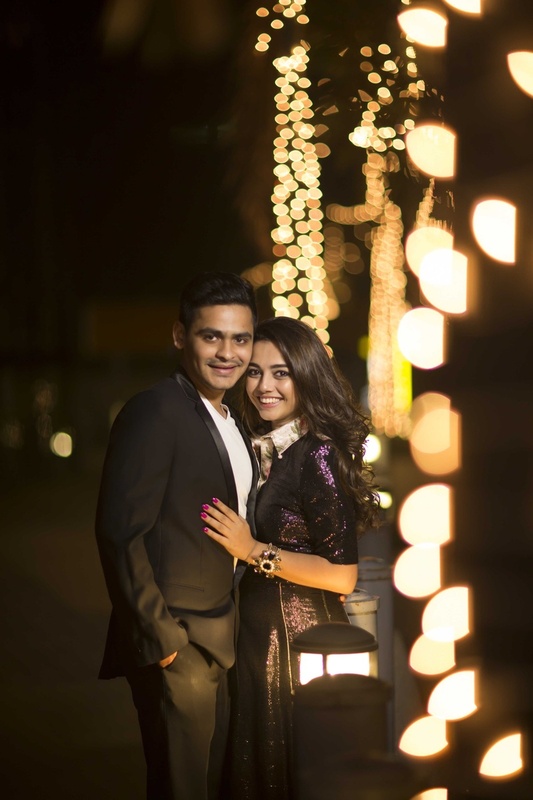 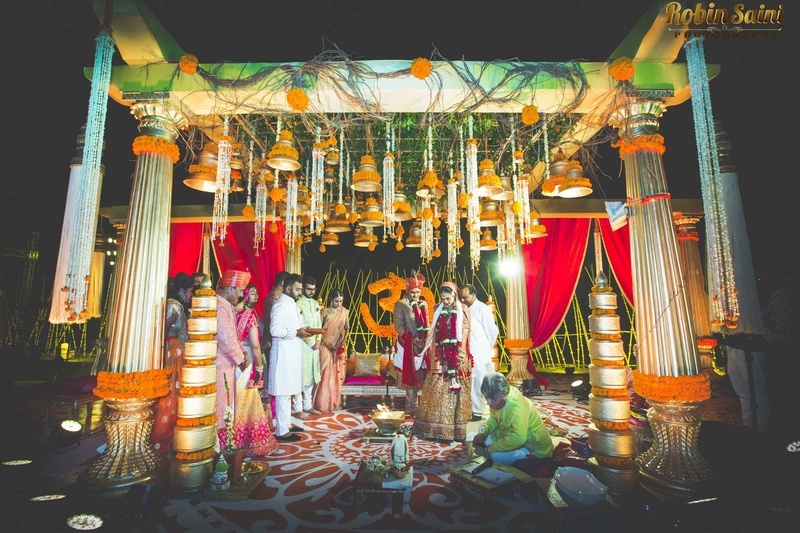 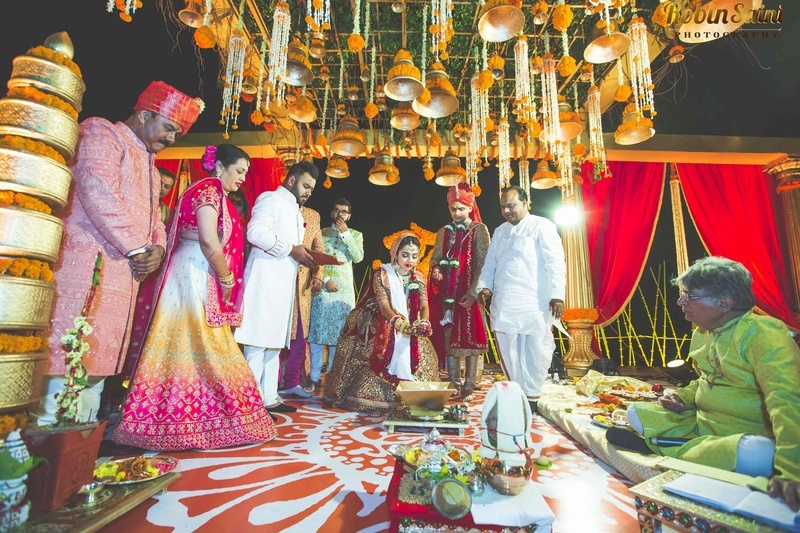 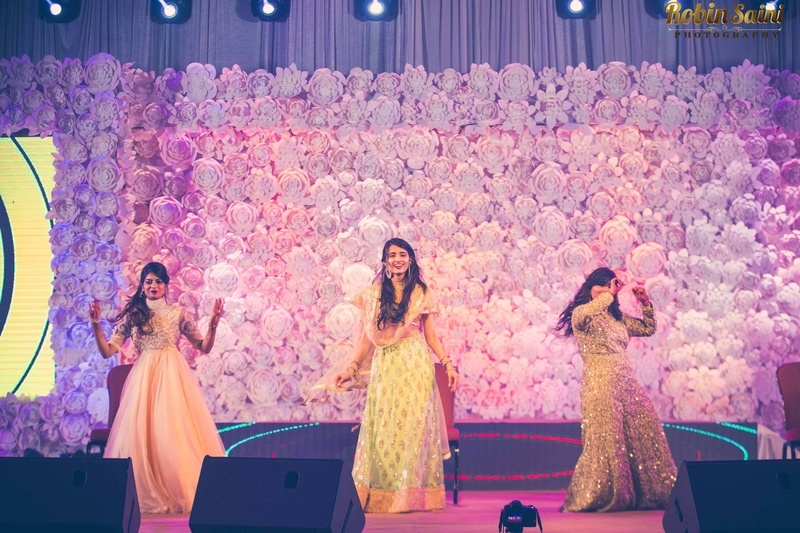 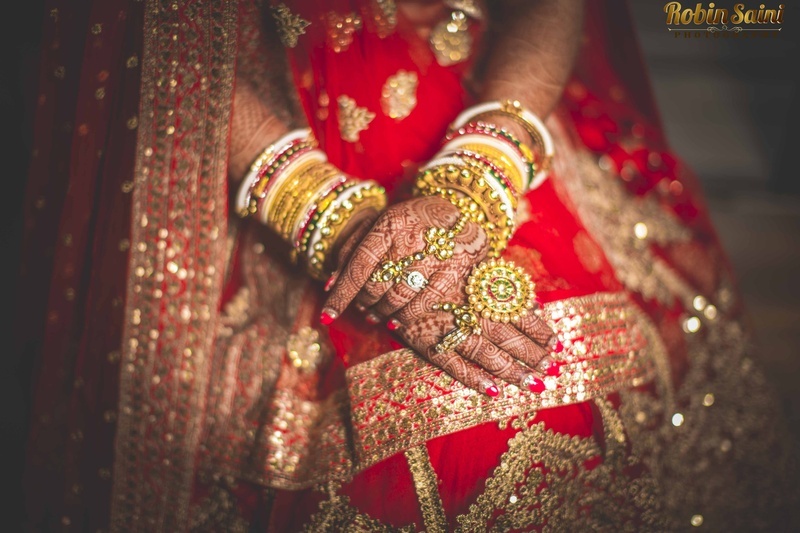 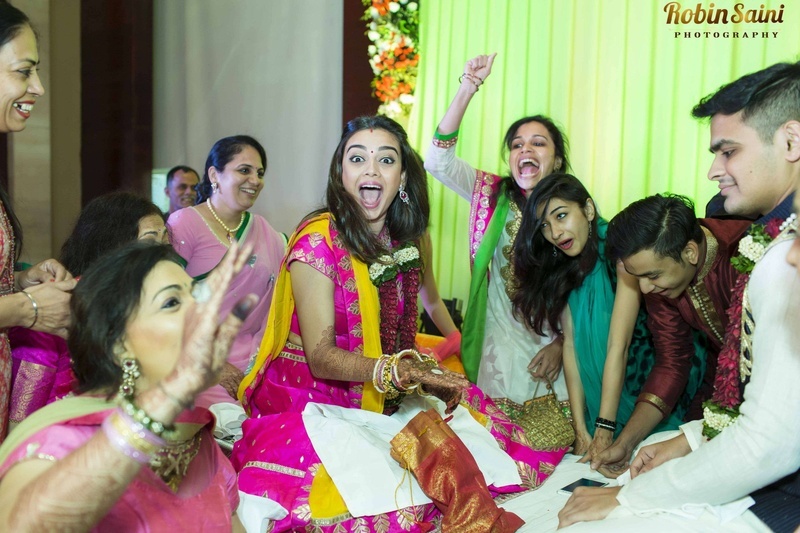 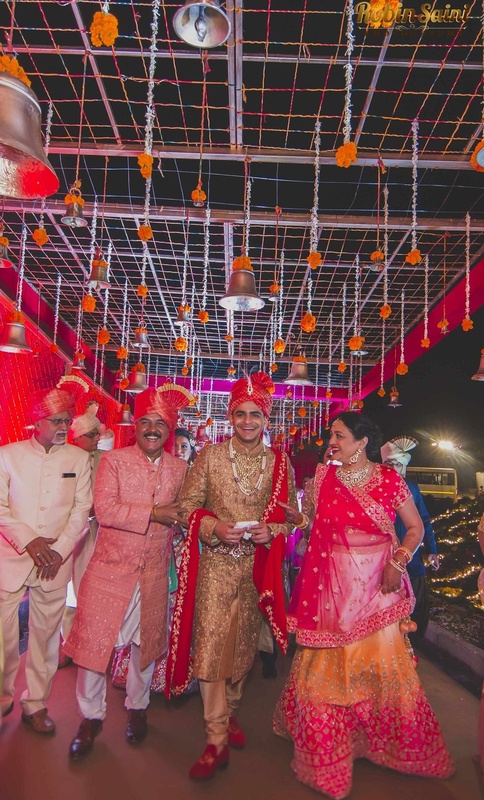 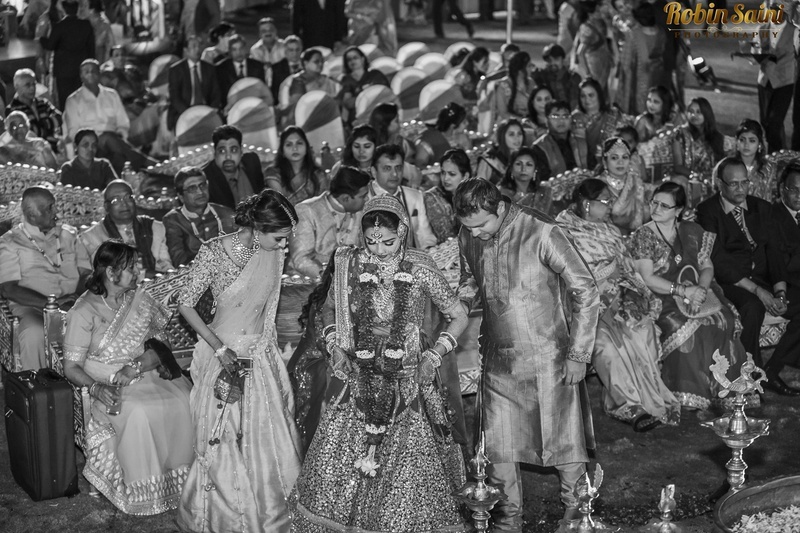 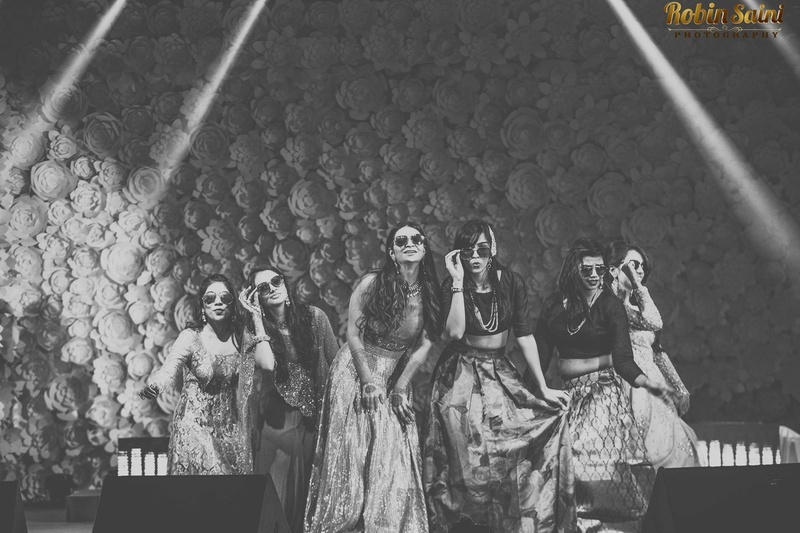 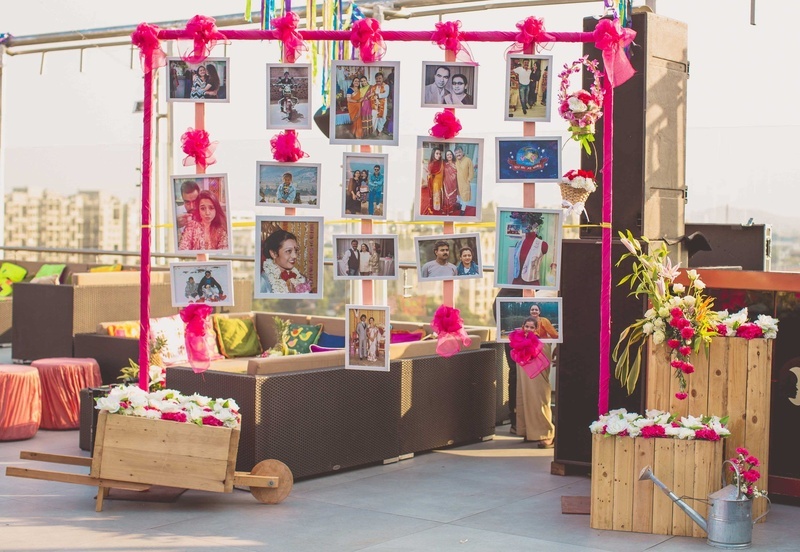 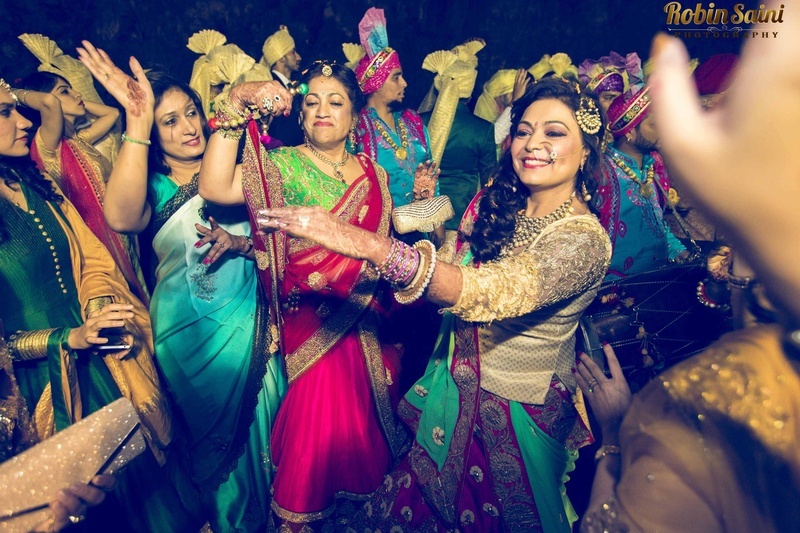 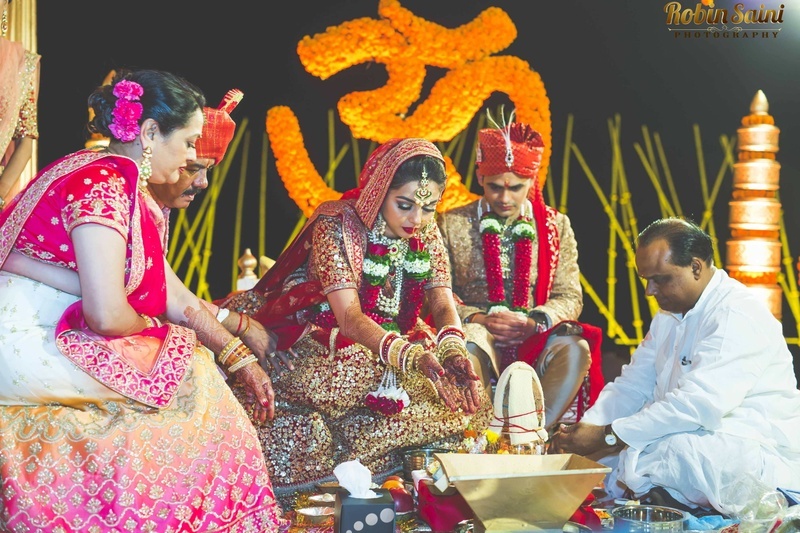 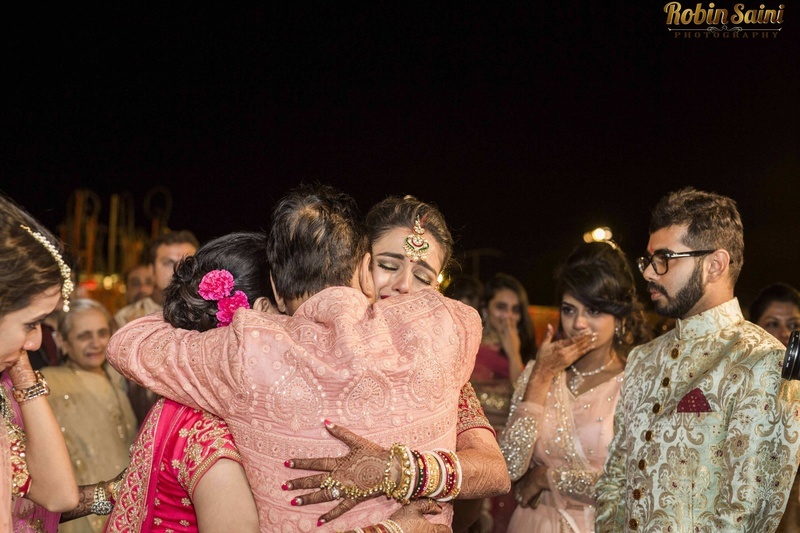 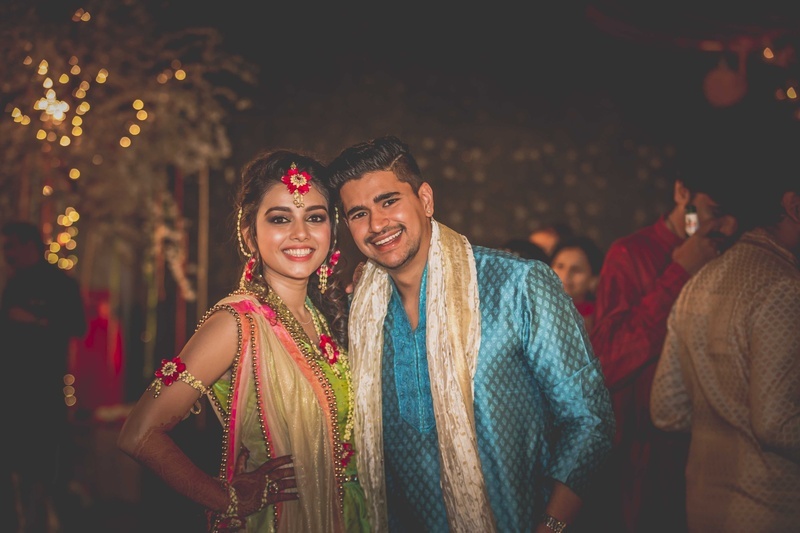 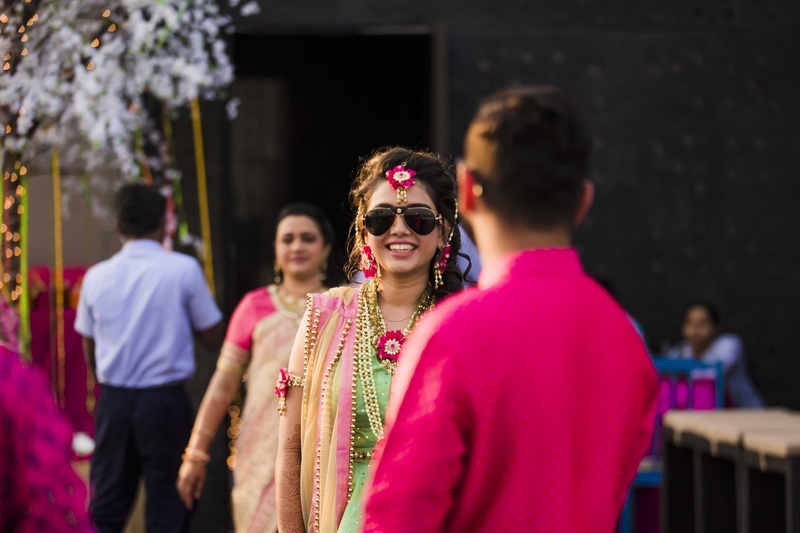 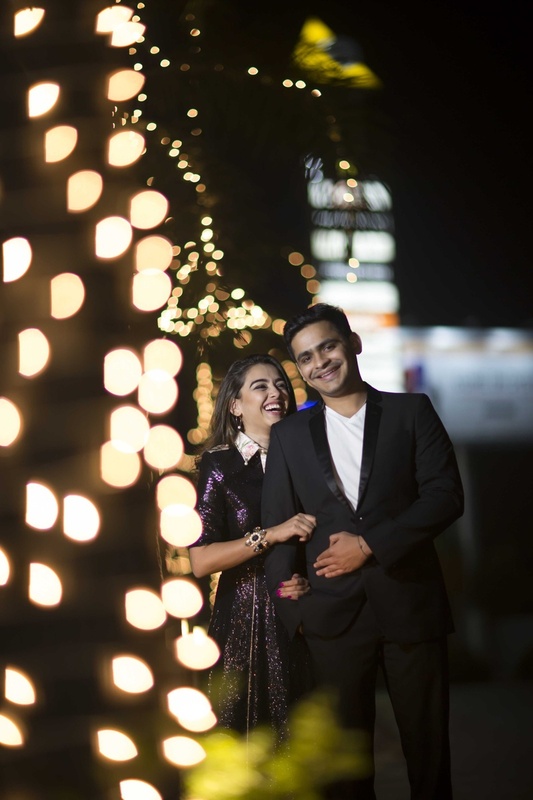 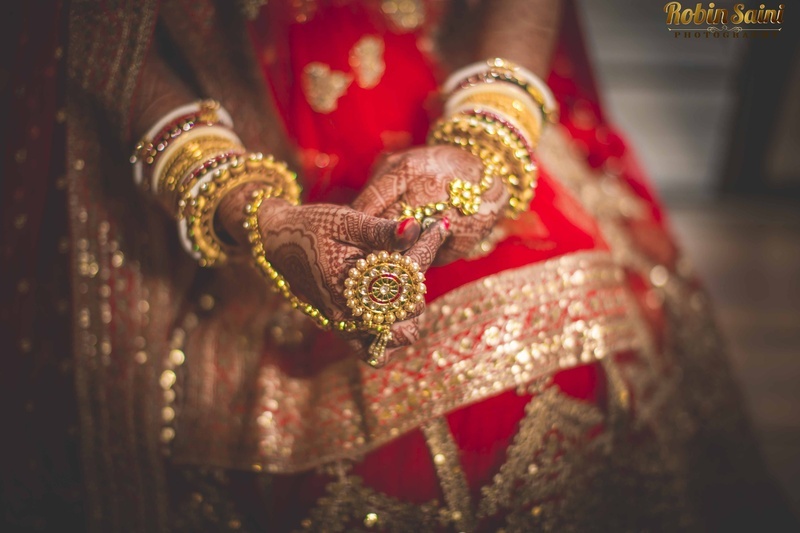 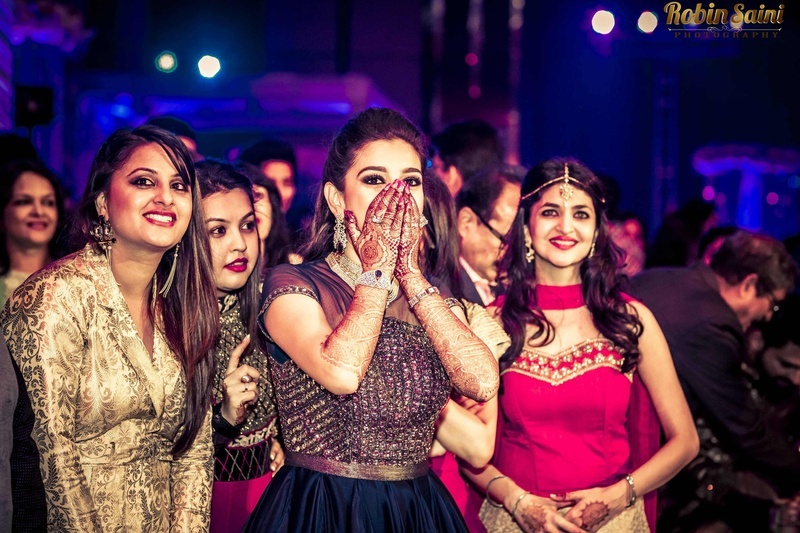 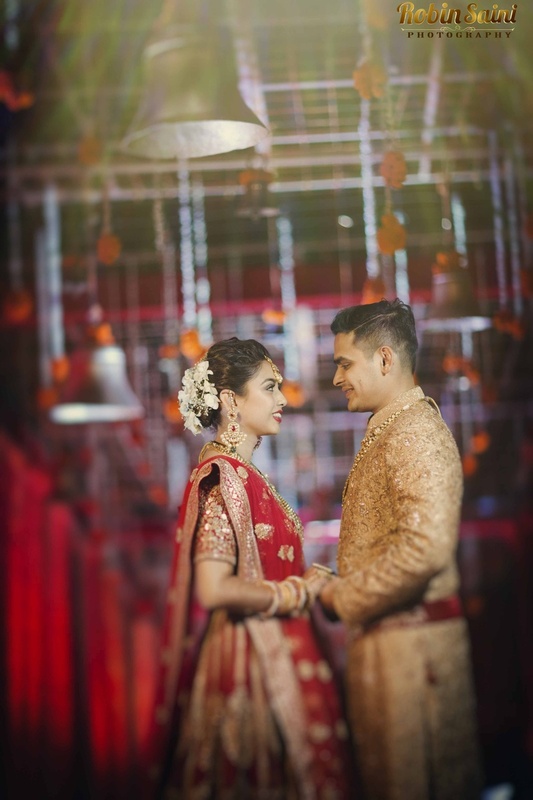 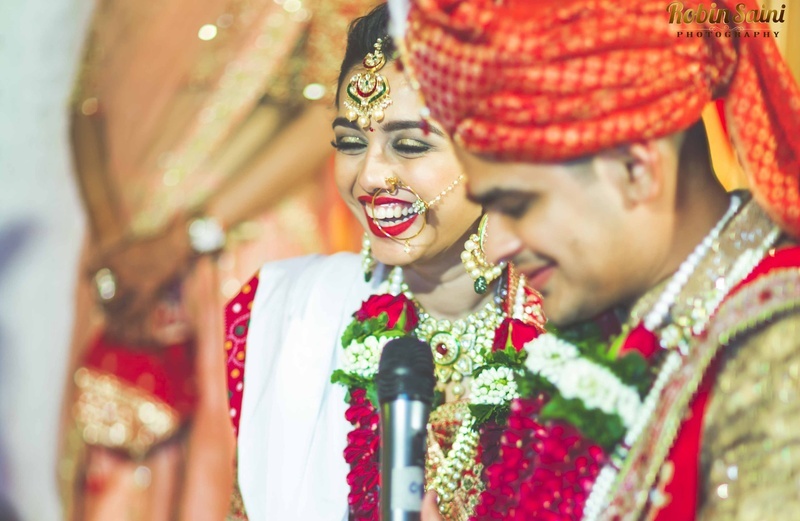 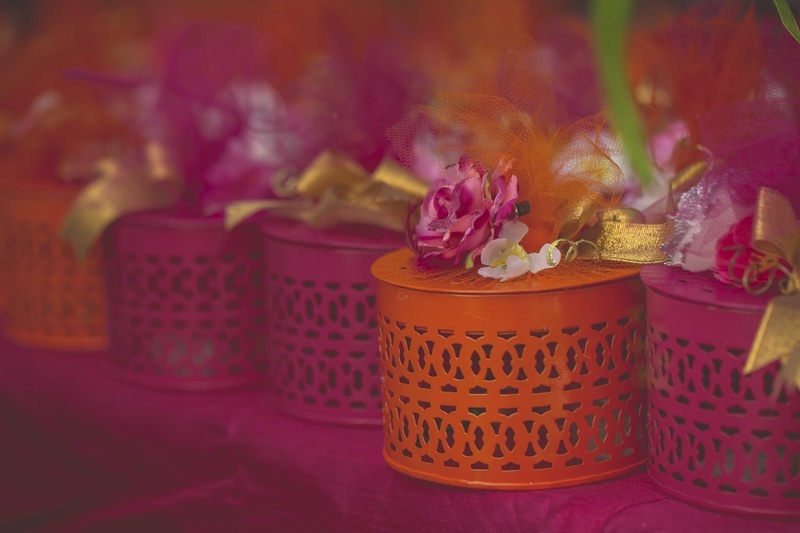 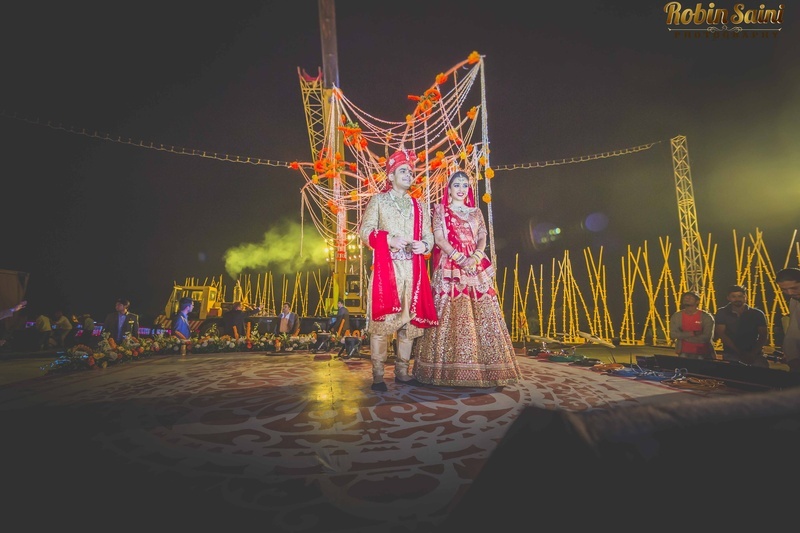 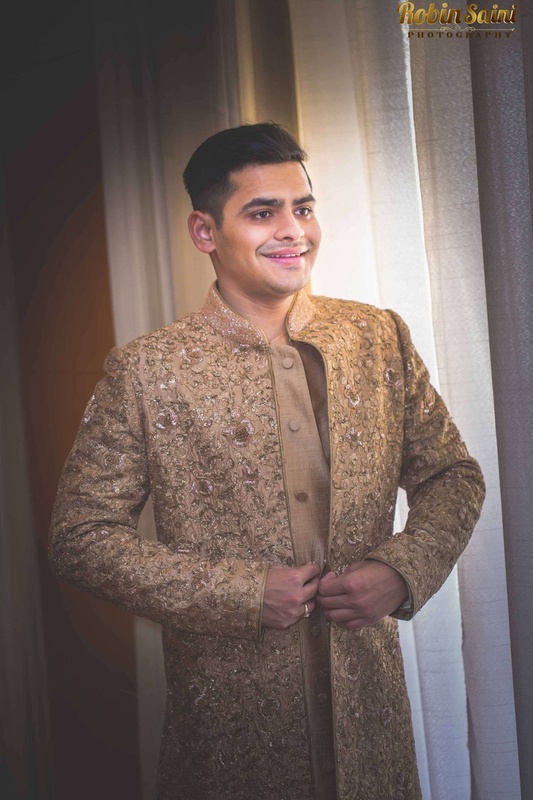 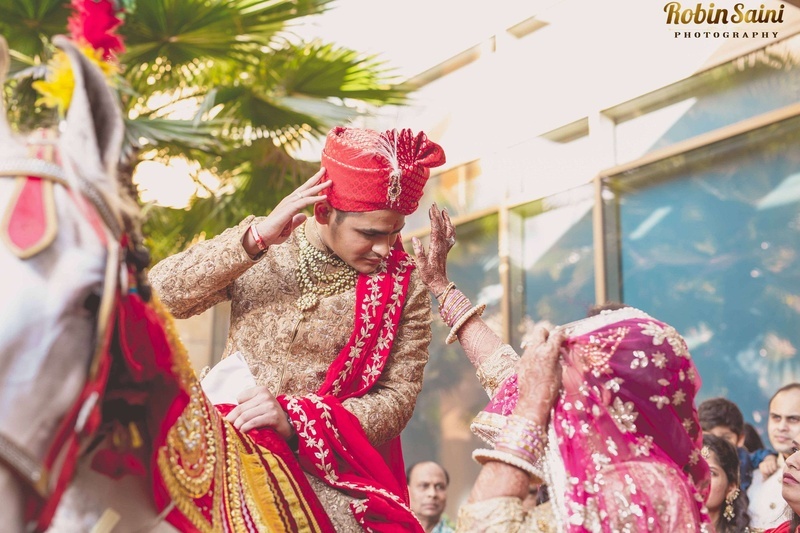 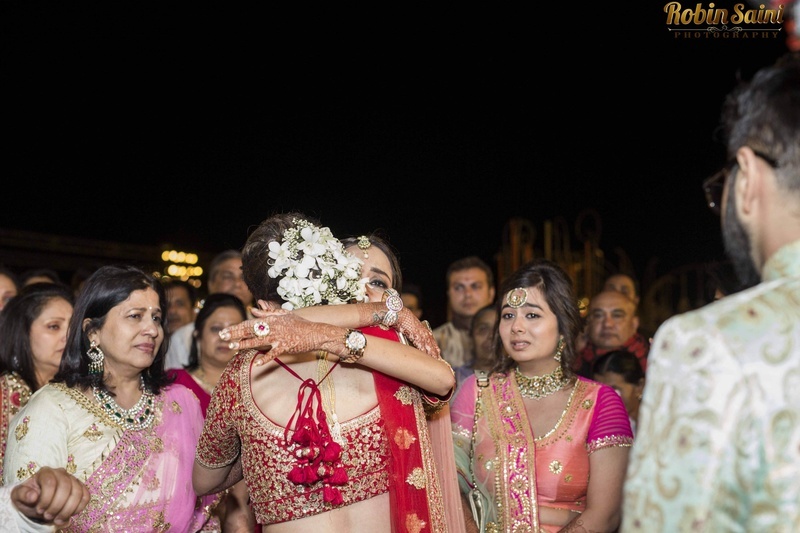 Sonam and Raunak's Pune wedding was a breath of fresh air in a wedding world full of the usual! 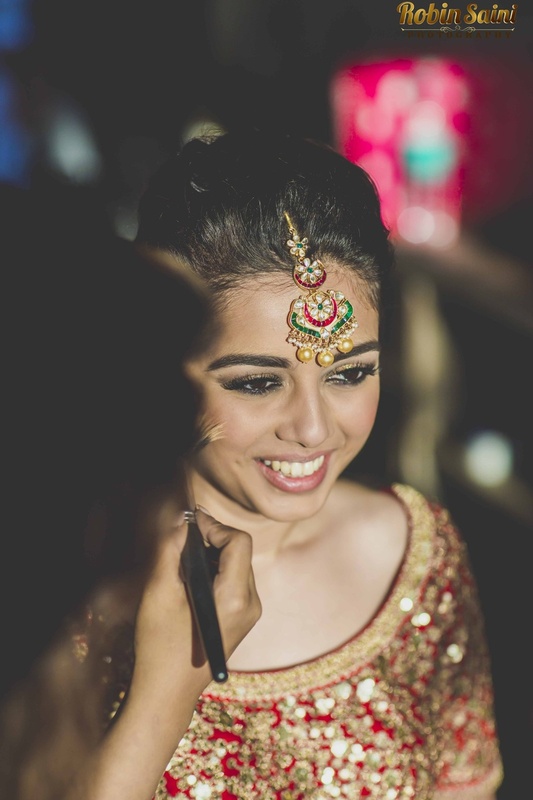 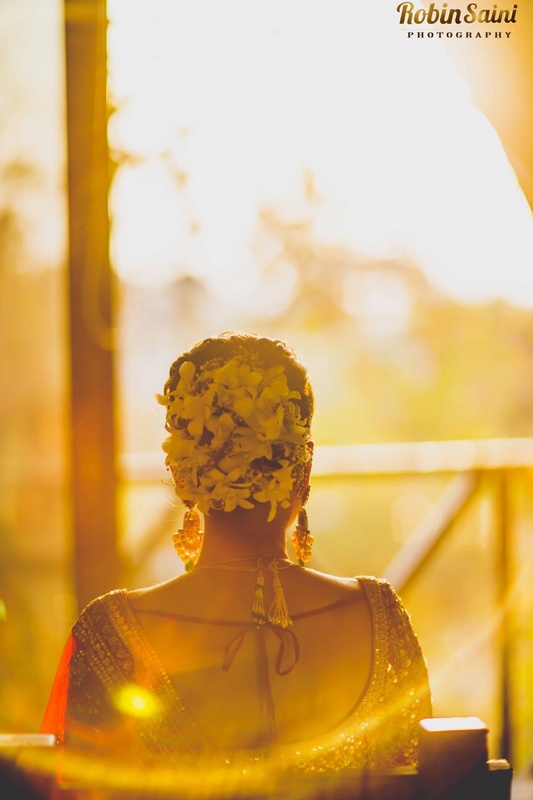 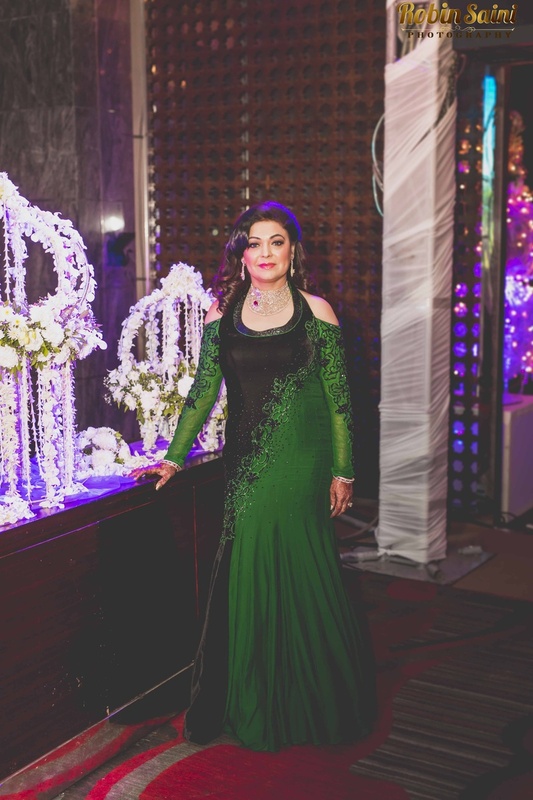 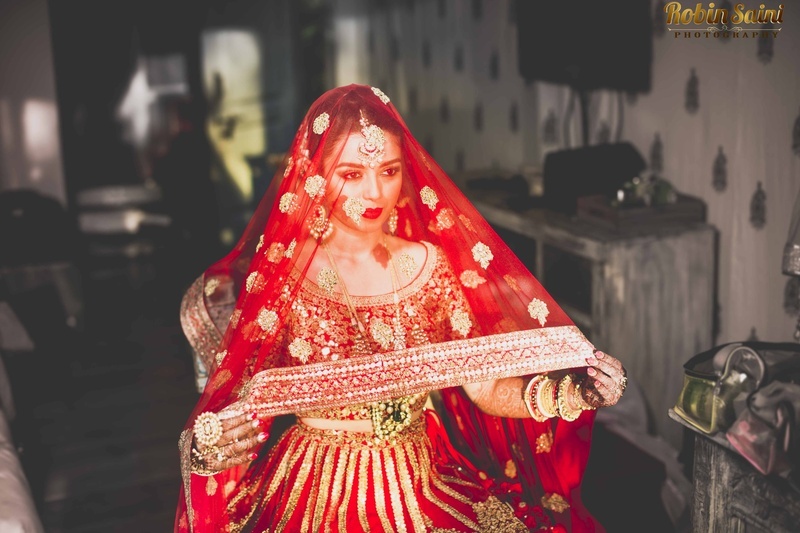 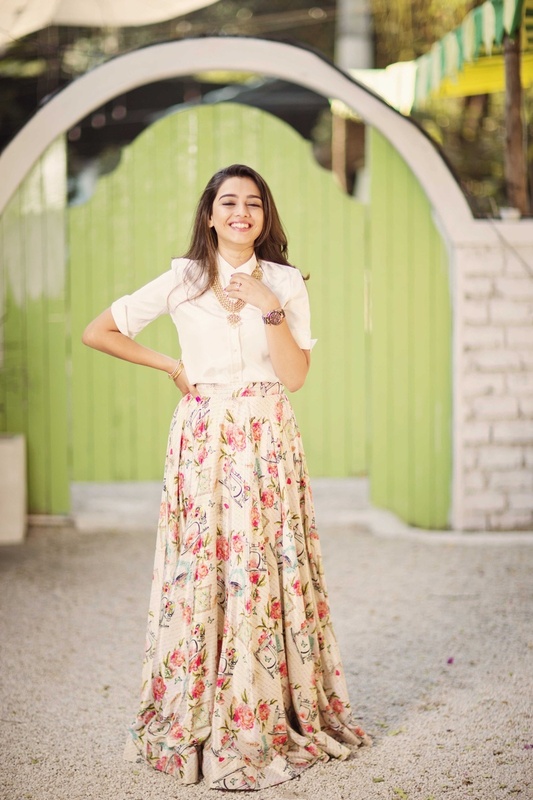 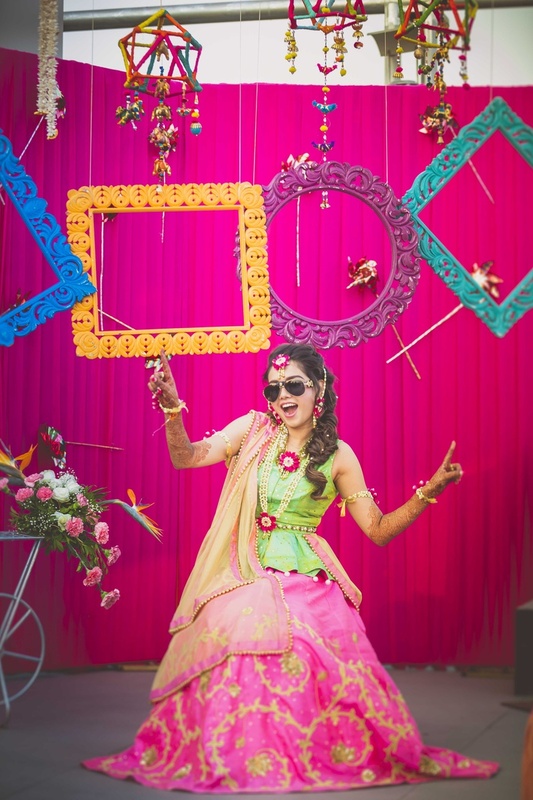 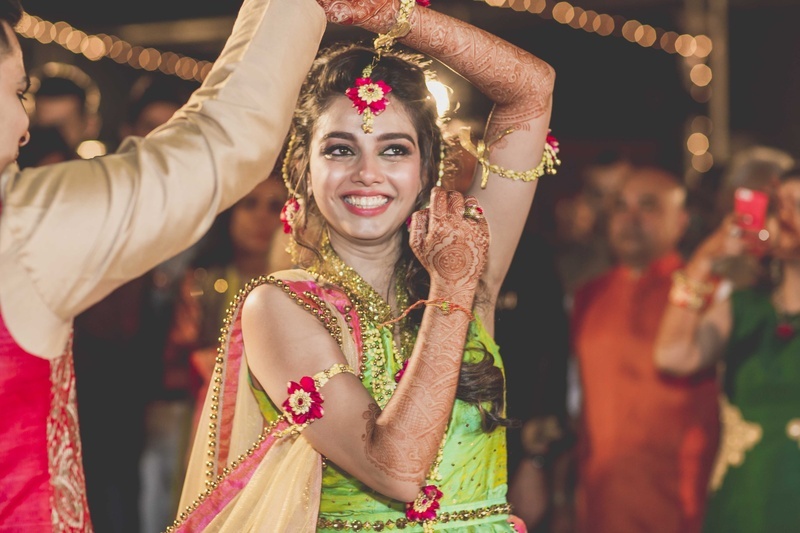 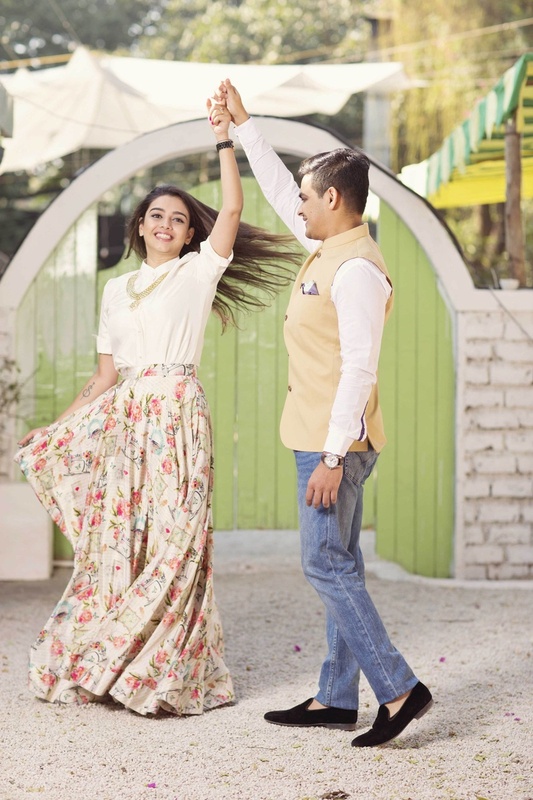 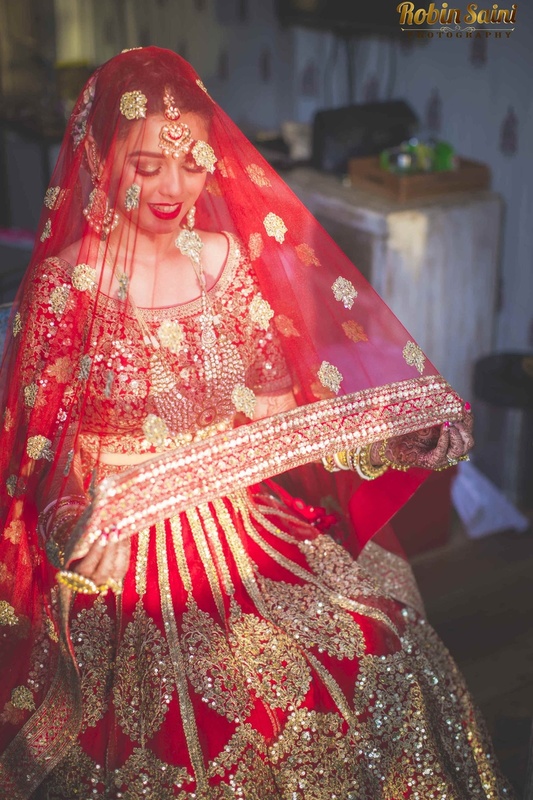 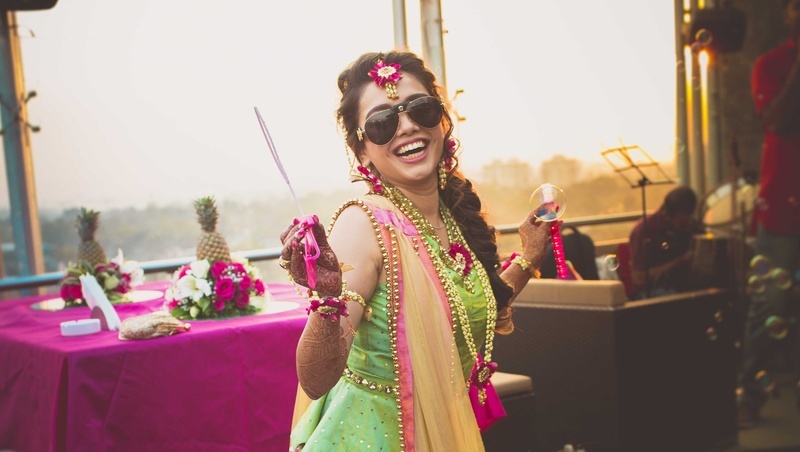 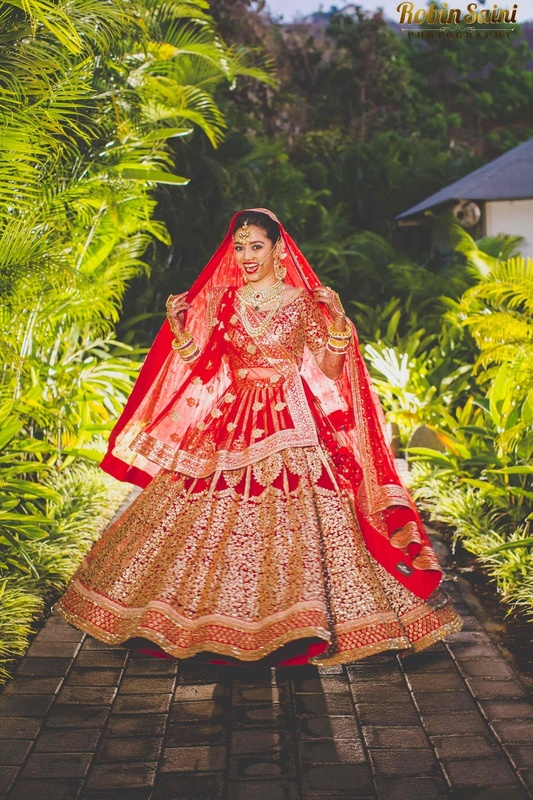 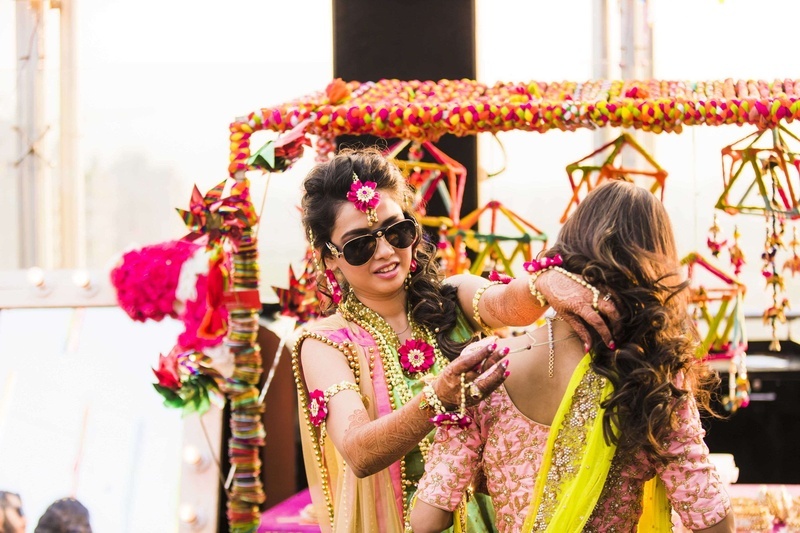 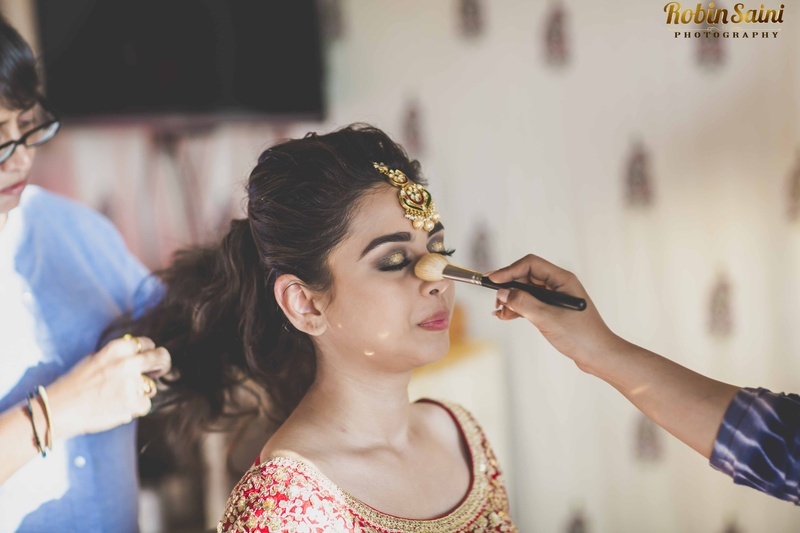 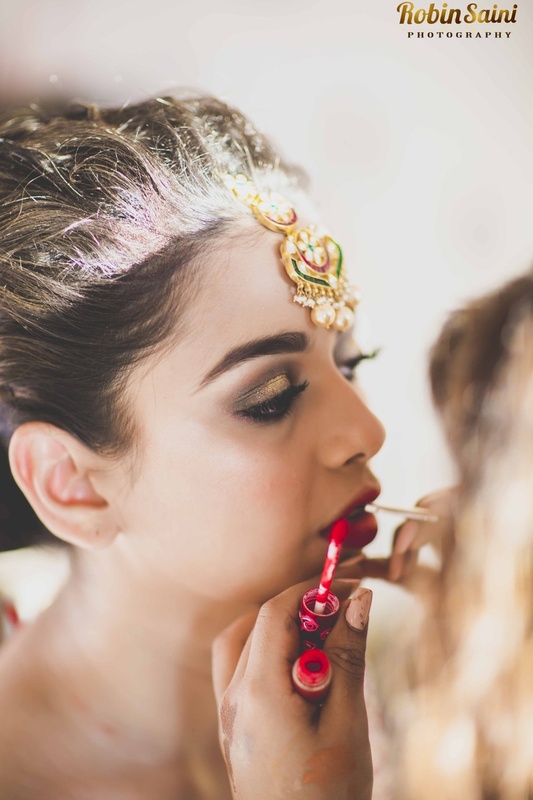 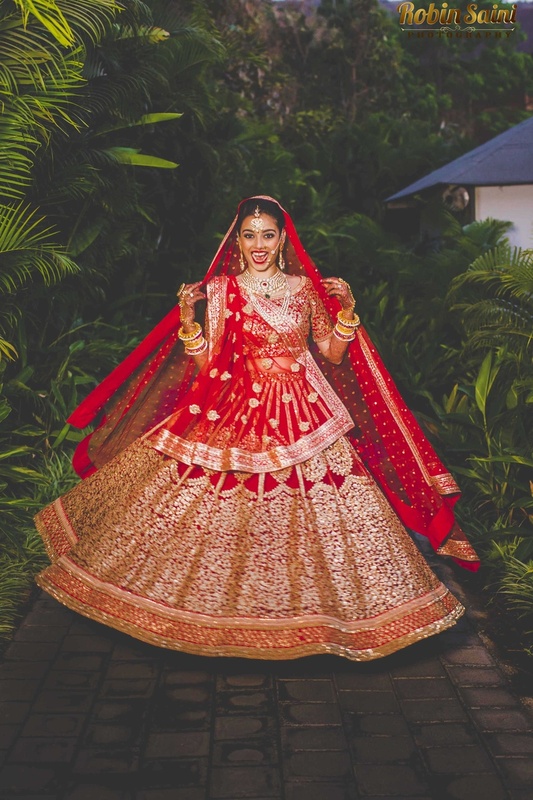 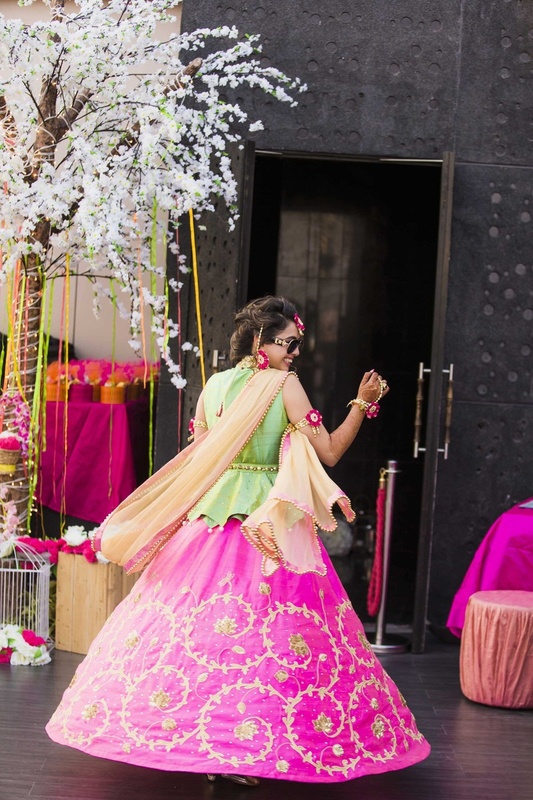 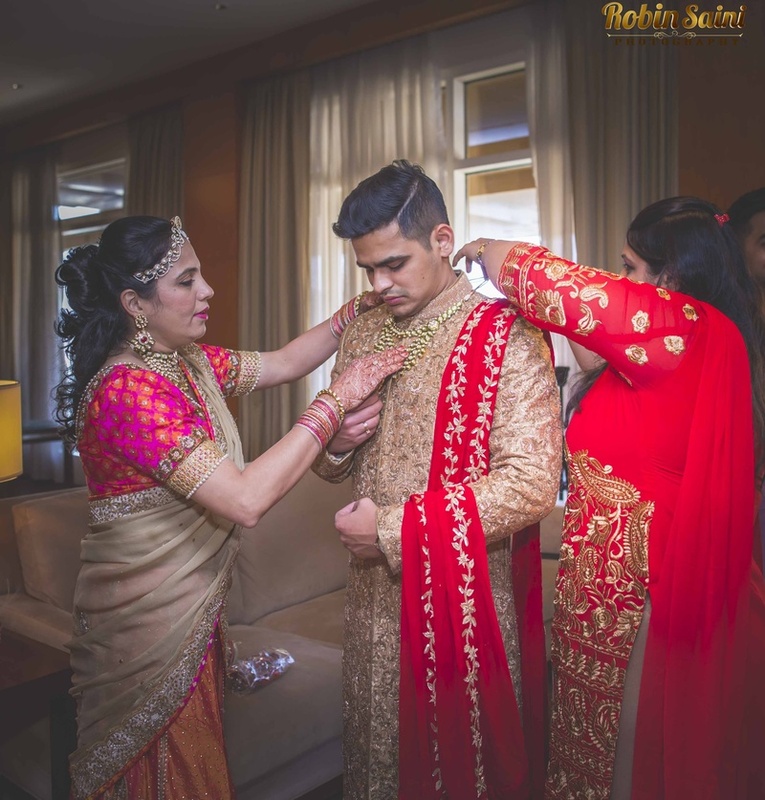 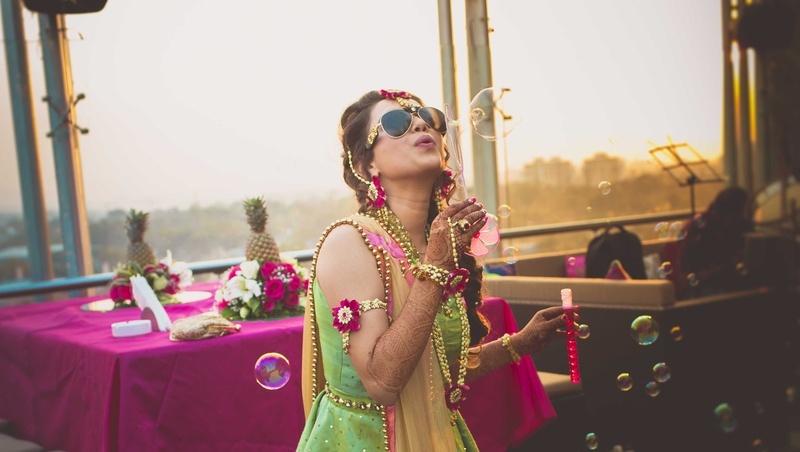 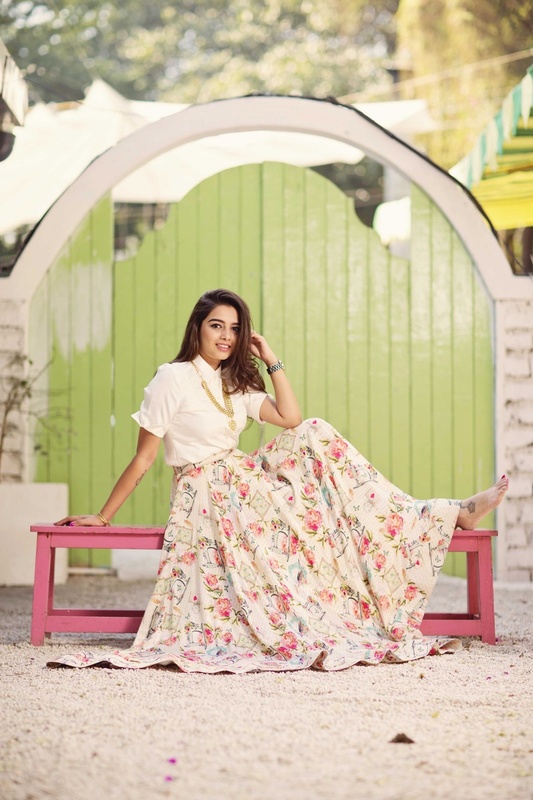 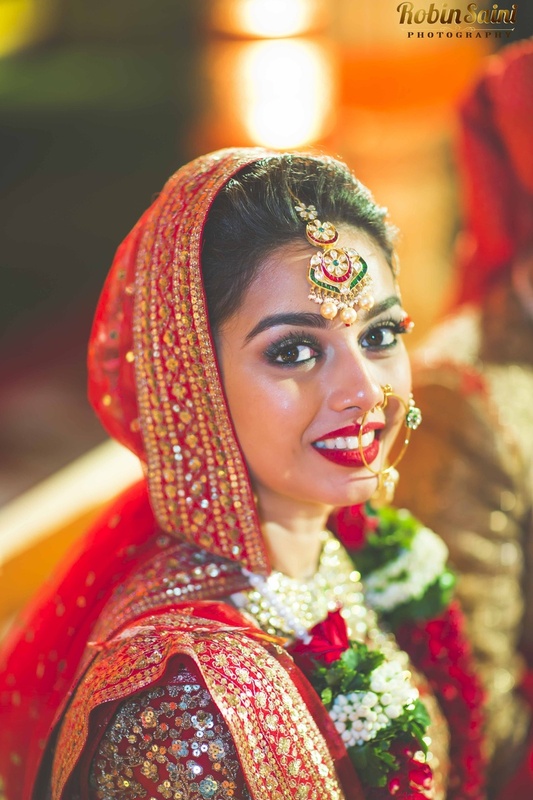 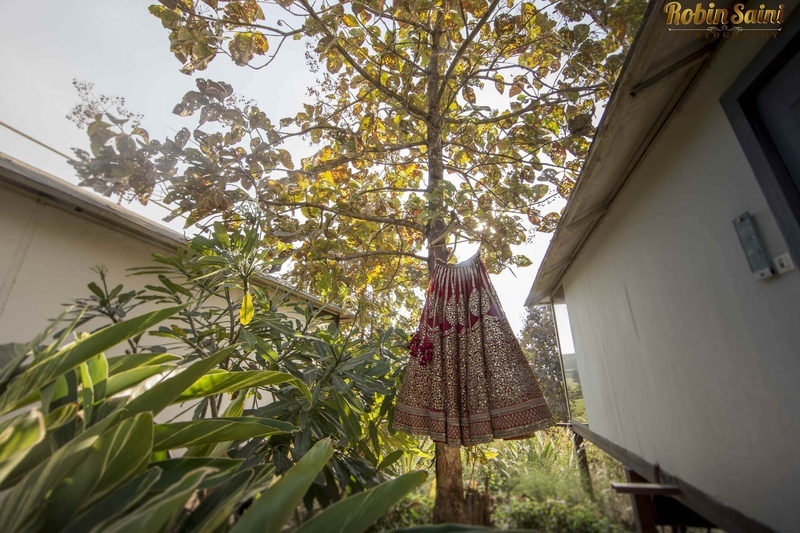 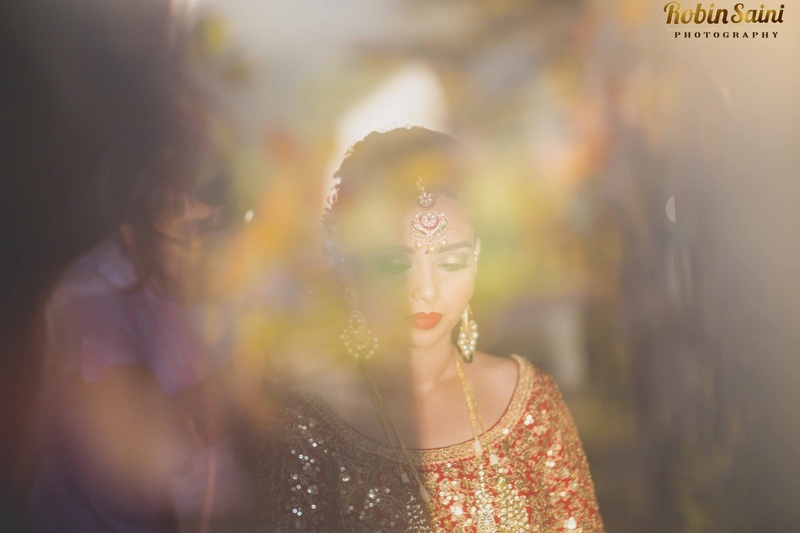 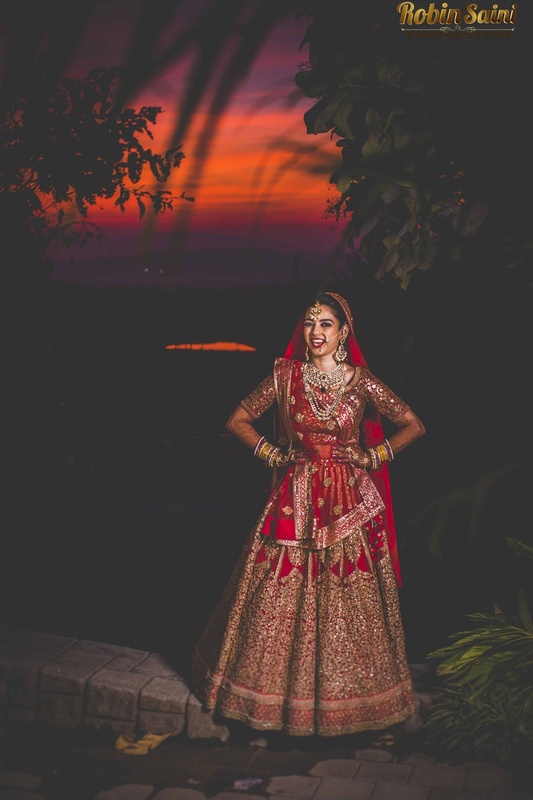 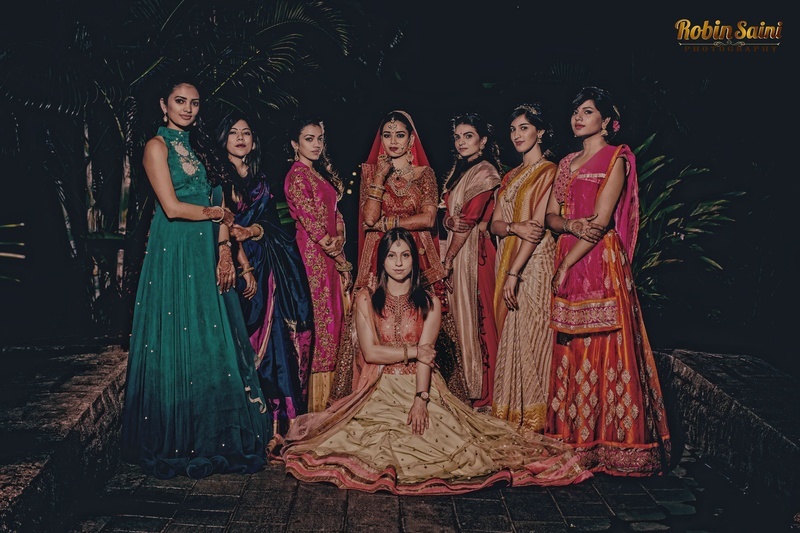 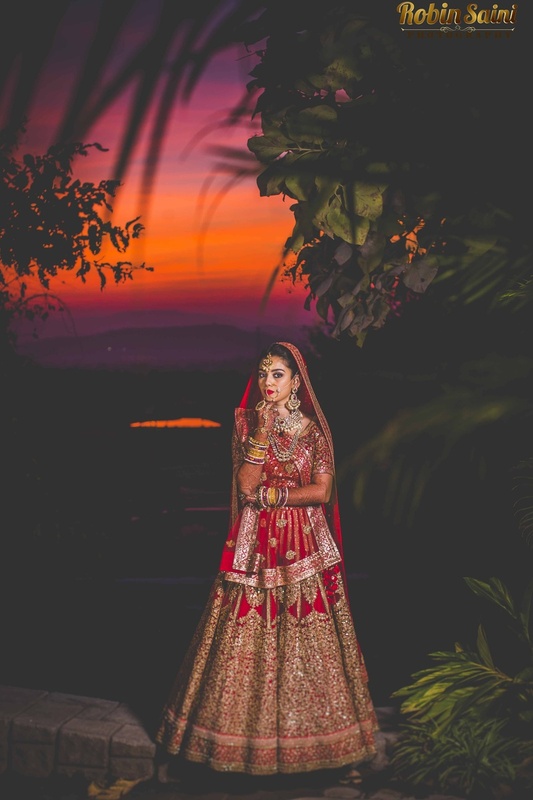 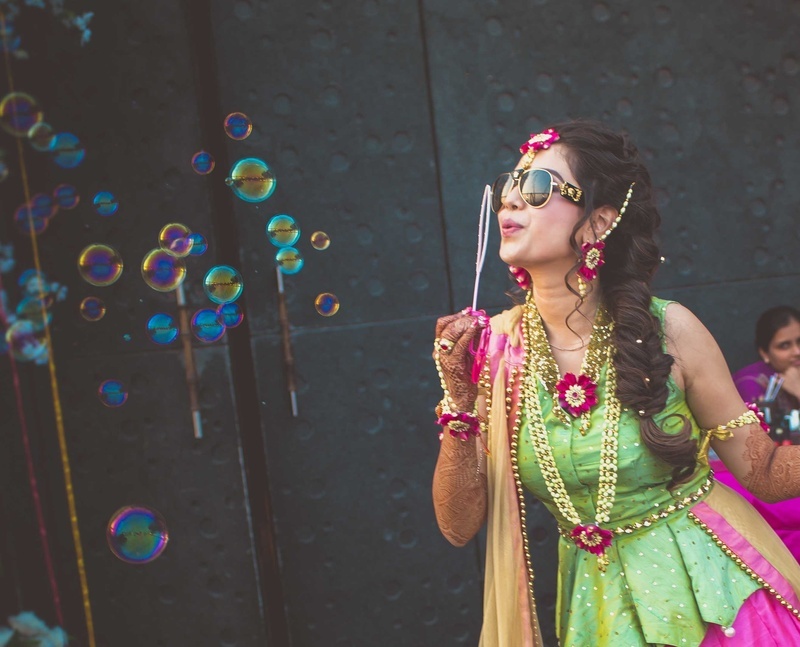 Beginning from their pre-wedding photoshoot where this gorg bride rocked her own designs up until the wedding held at Oxford Golf and Country Club, Pune - each part of this wedding celebration was well thought out, planned and executed to perfection. 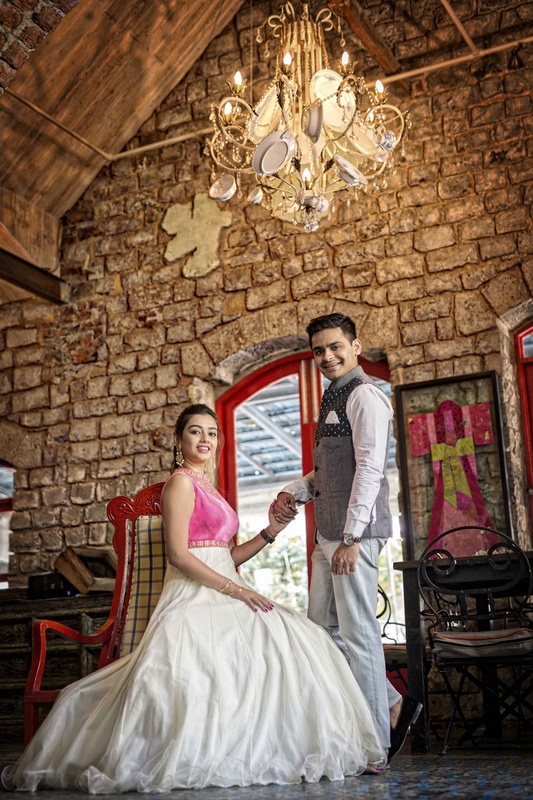 Keeping in mind the taste and contemporary style of both, Sonam and Raunak. 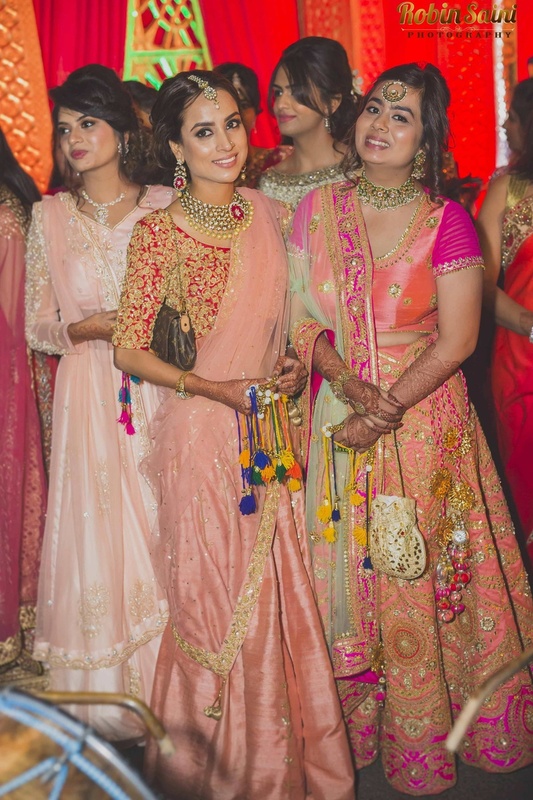 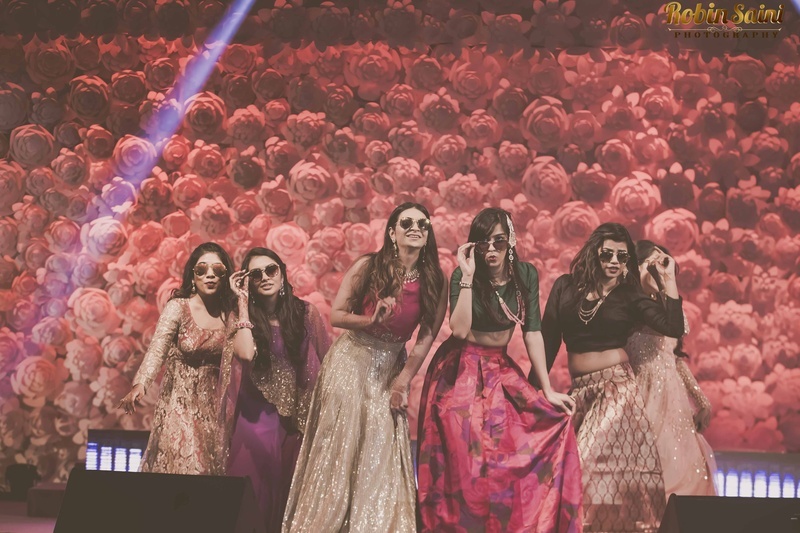 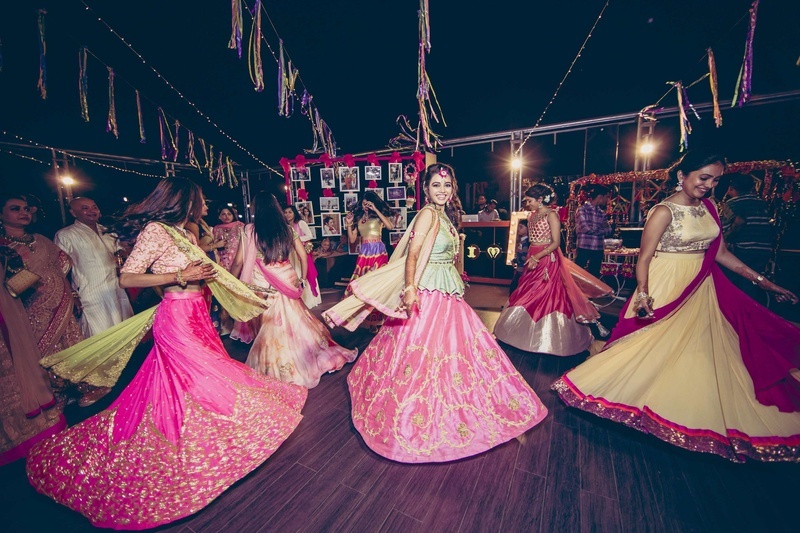 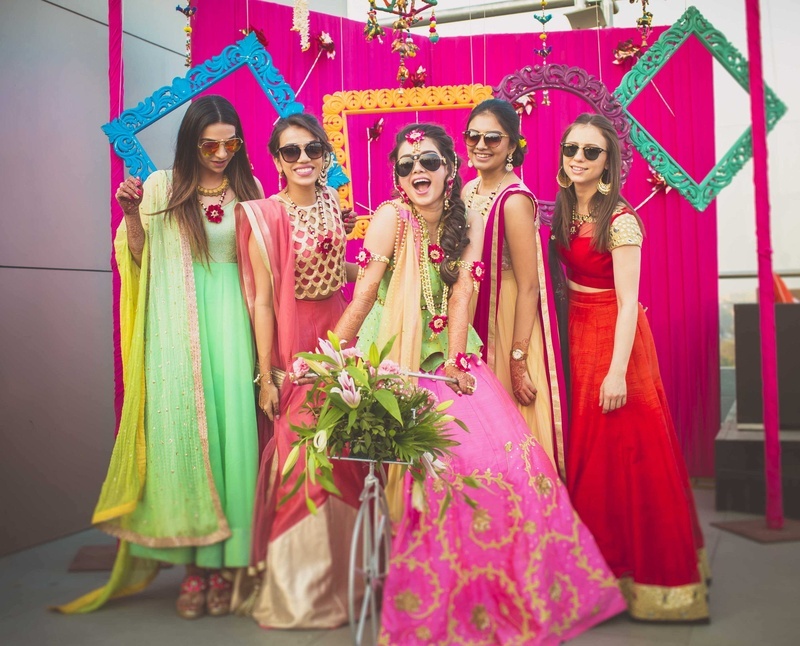 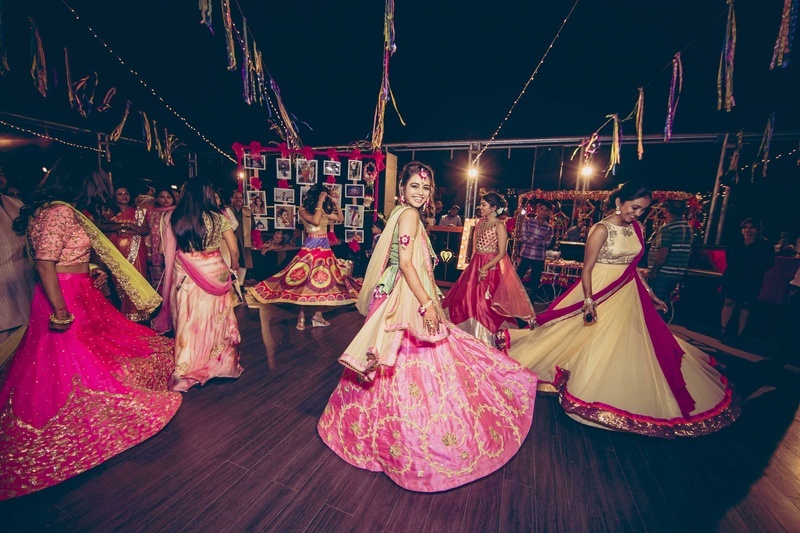 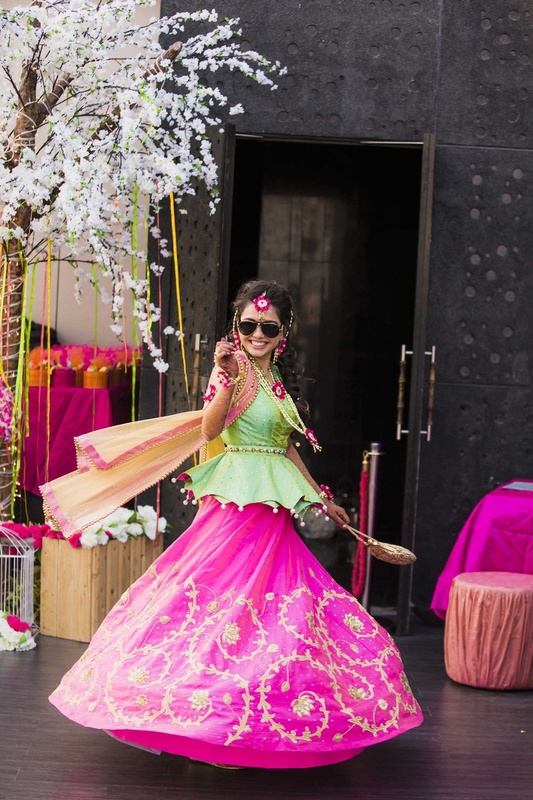 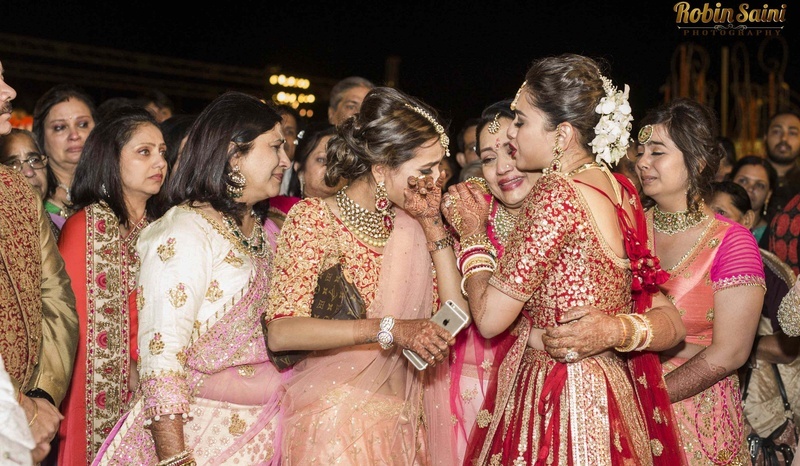 The wedding celebrations began with the mela themed Sangeet where Sonam wore a beautiful peplum styled top and pink flared lehenga. 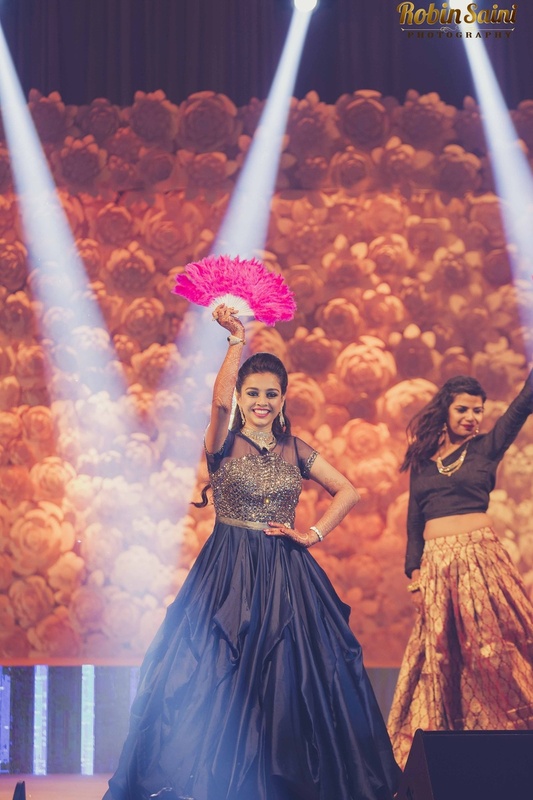 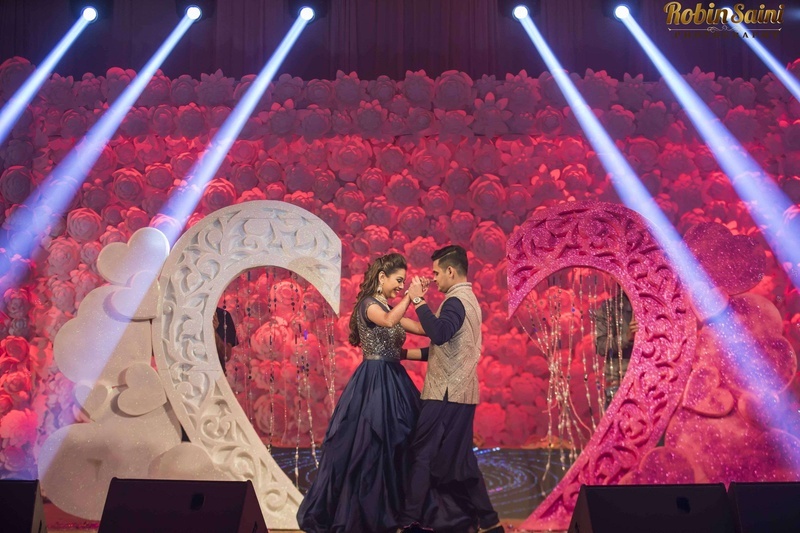 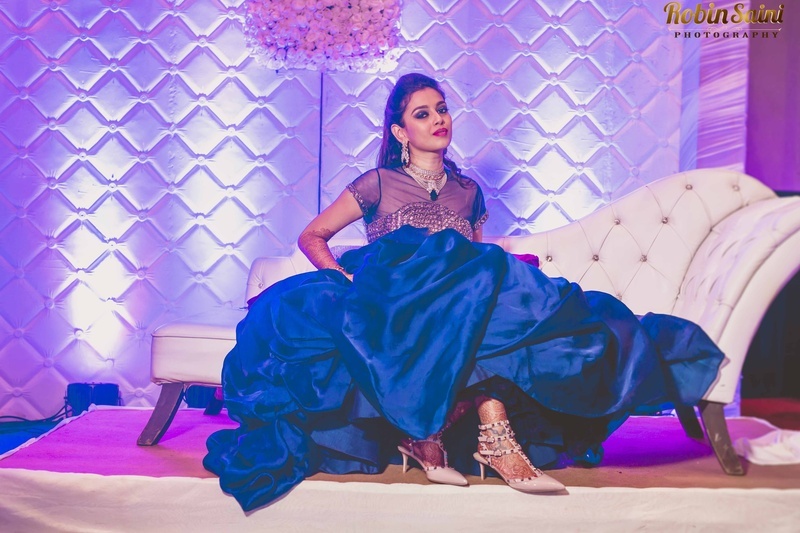 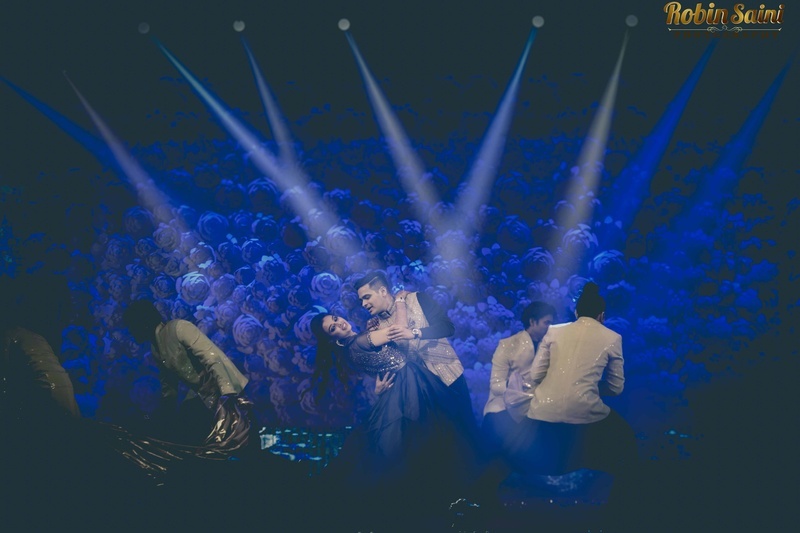 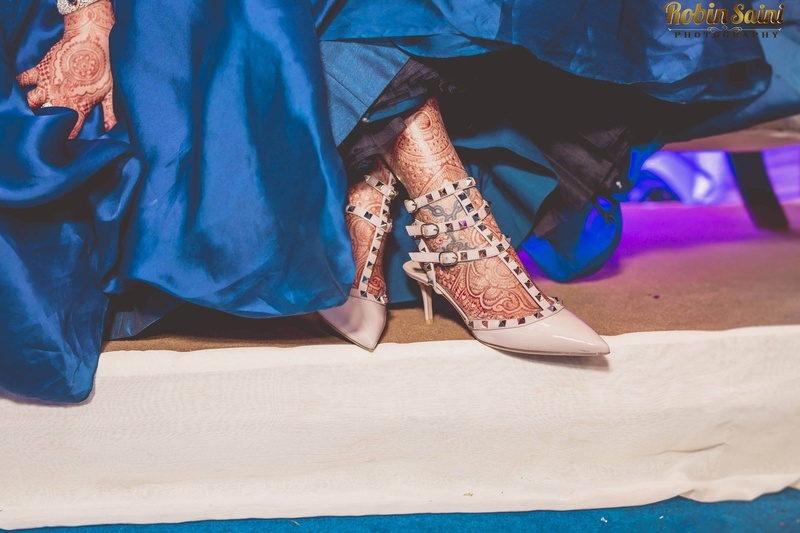 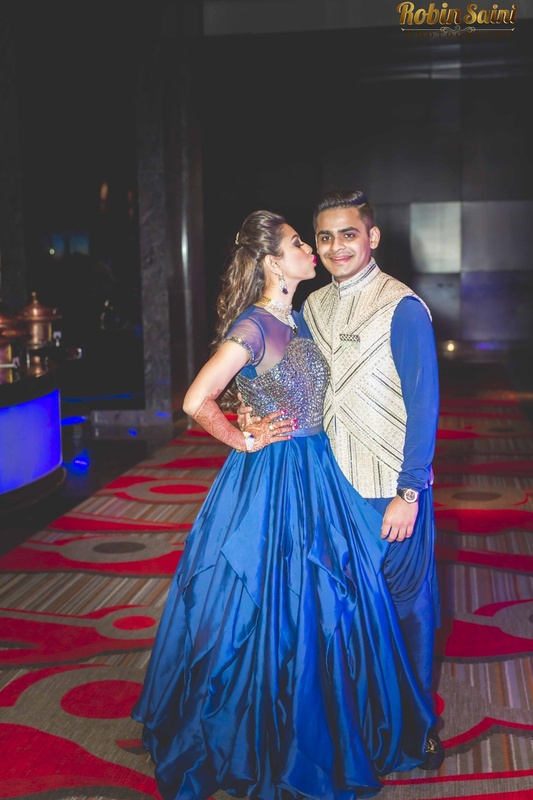 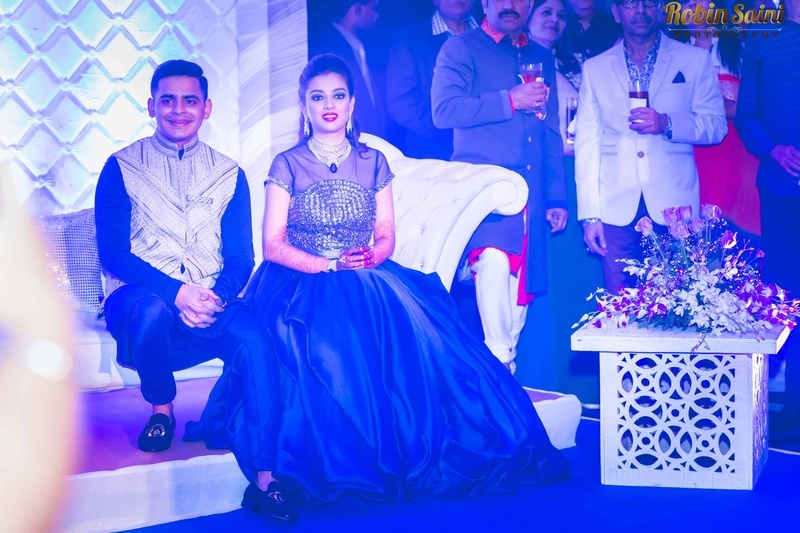 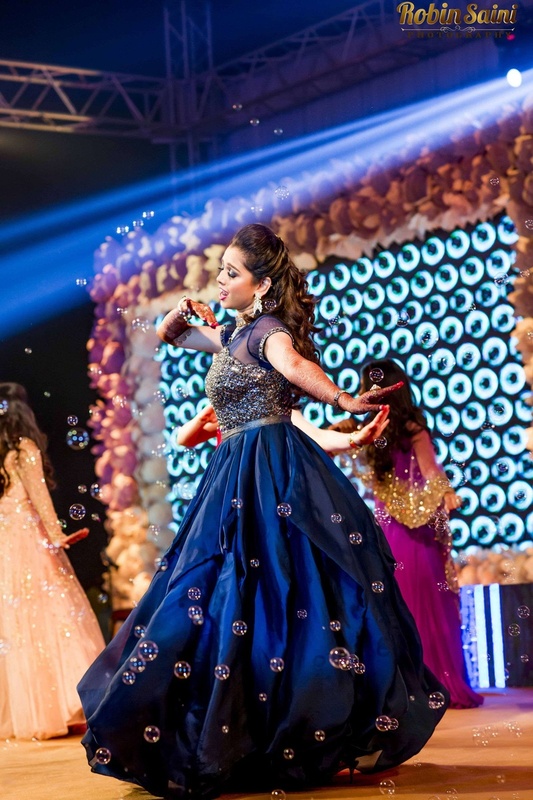 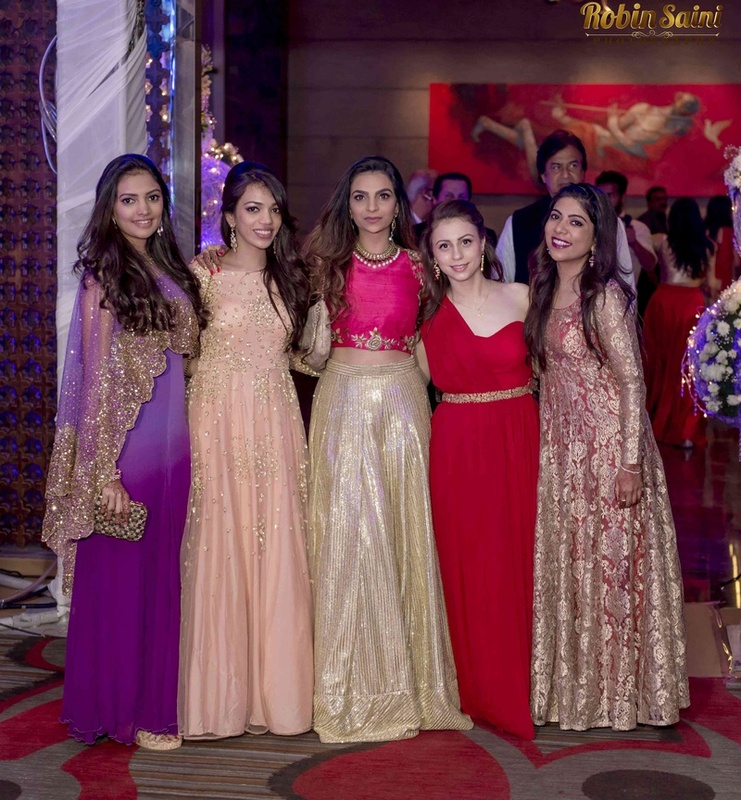 Celebrations continues at their sangeet held at JW Marriott, Pune where both the bride and groom showed off their stunning royal blue Shantanu & Nikhil outfits. 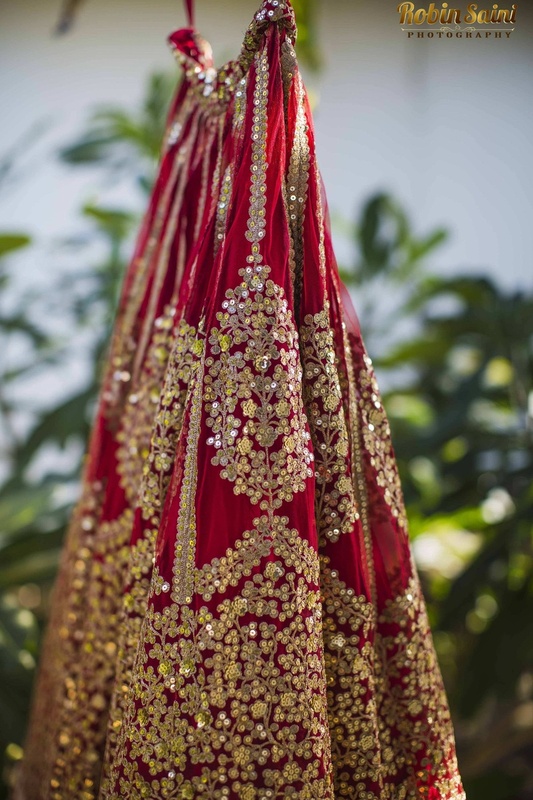 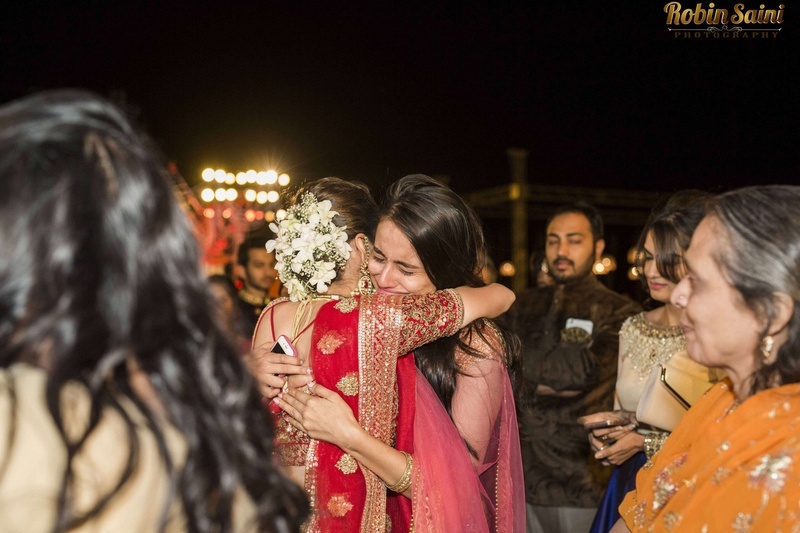 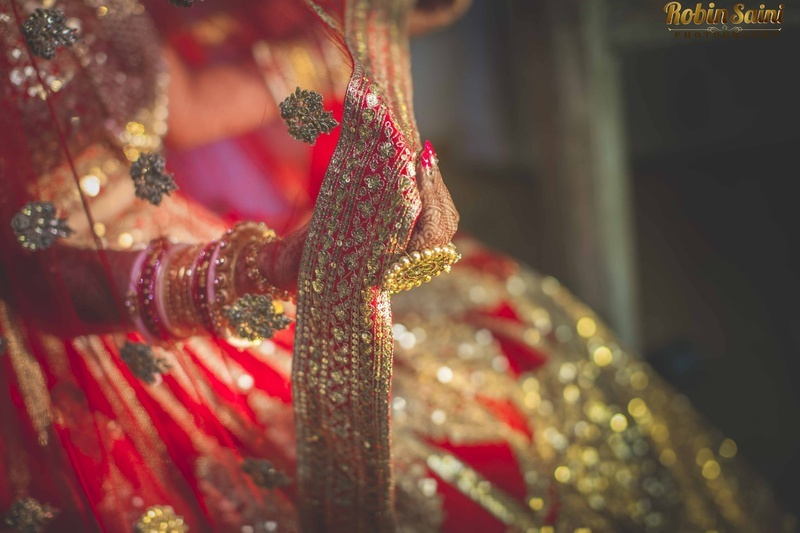 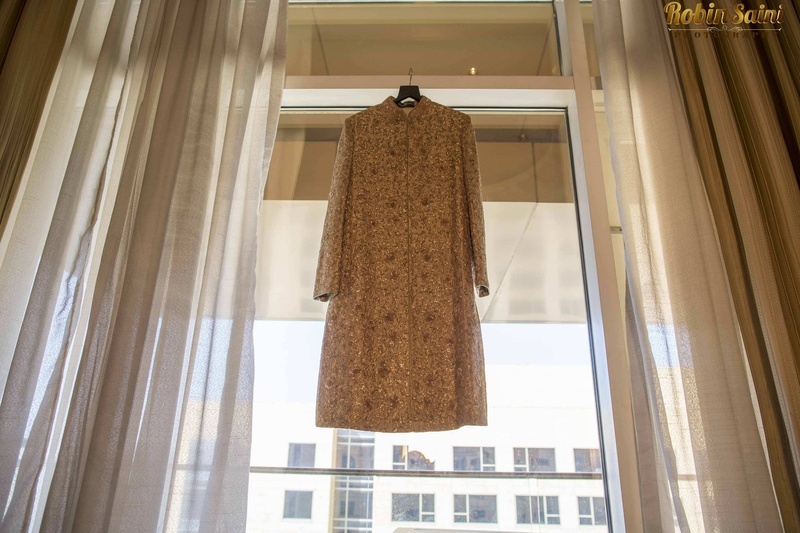 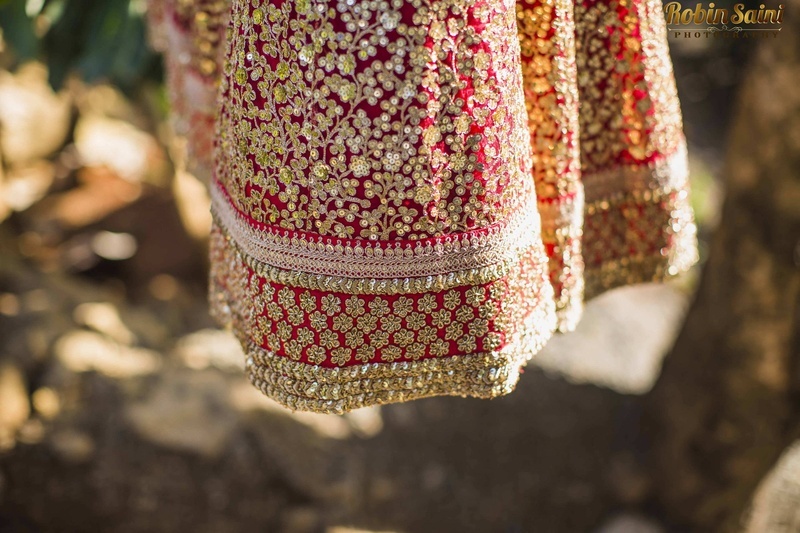 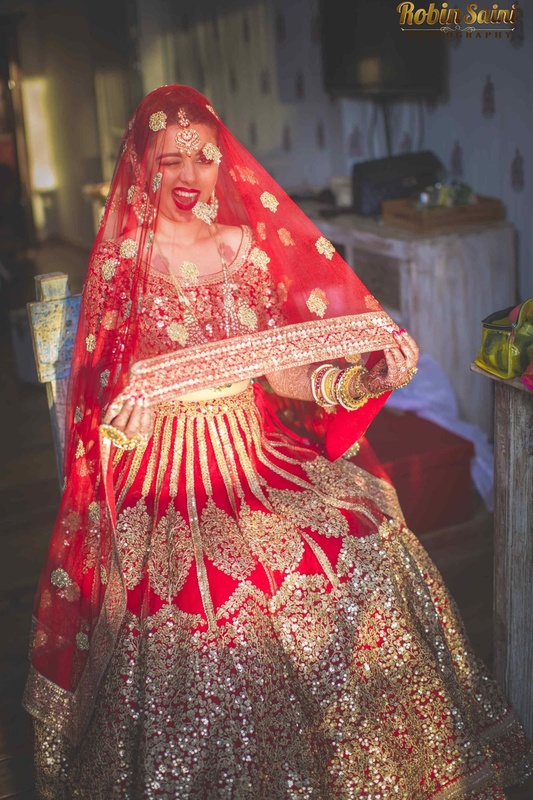 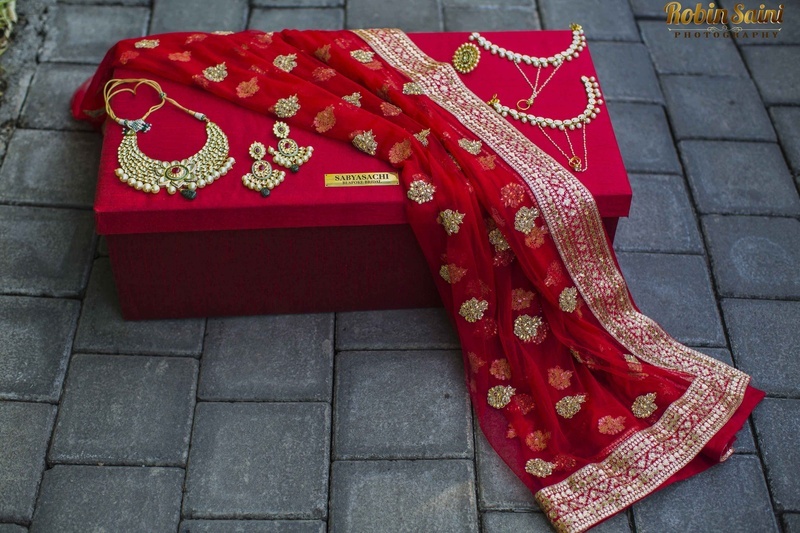 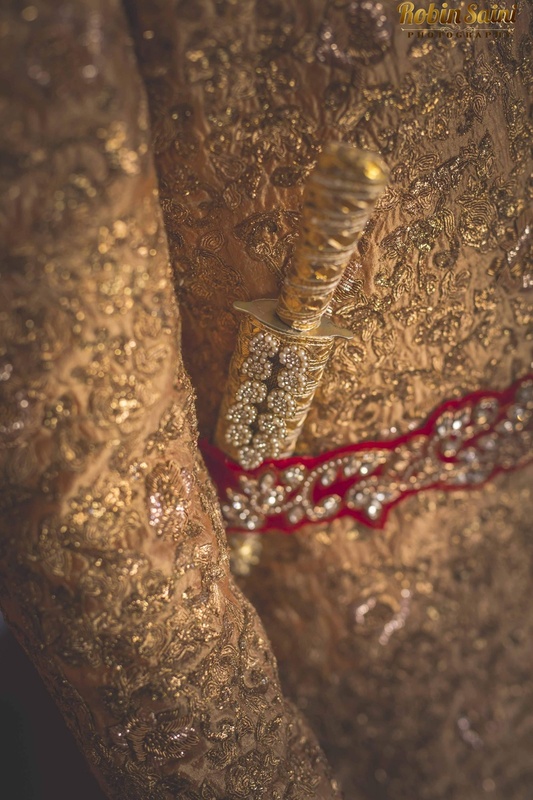 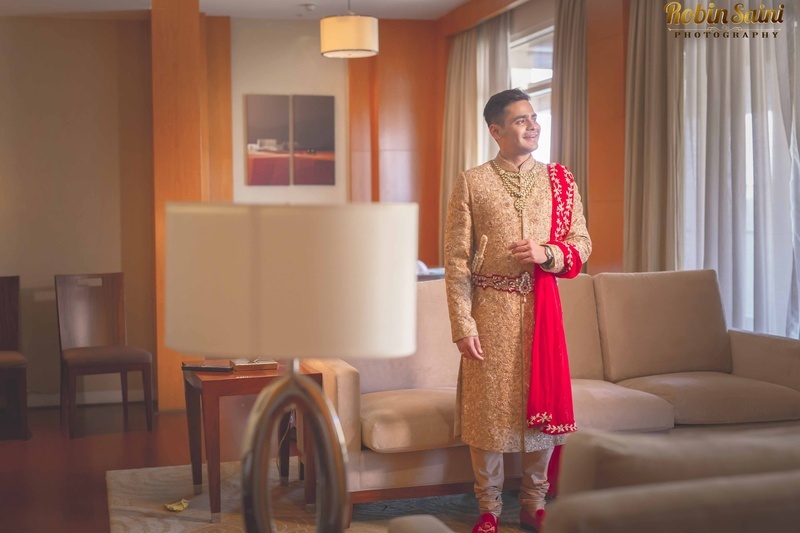 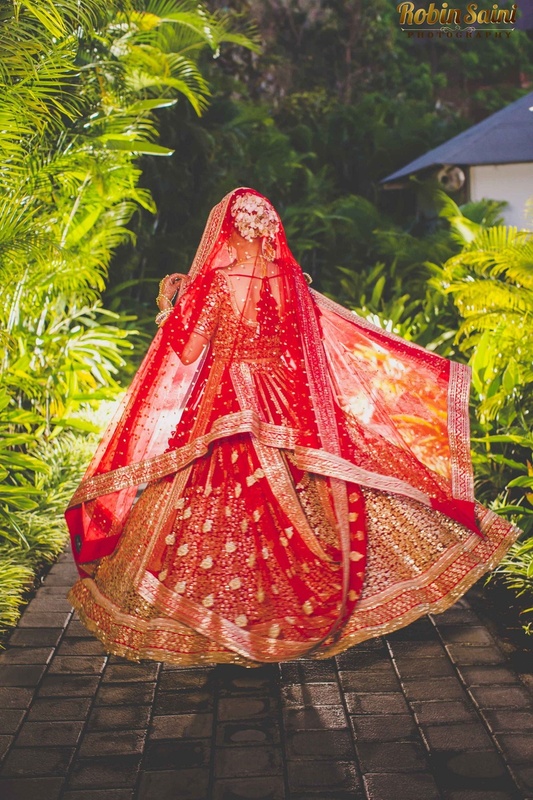 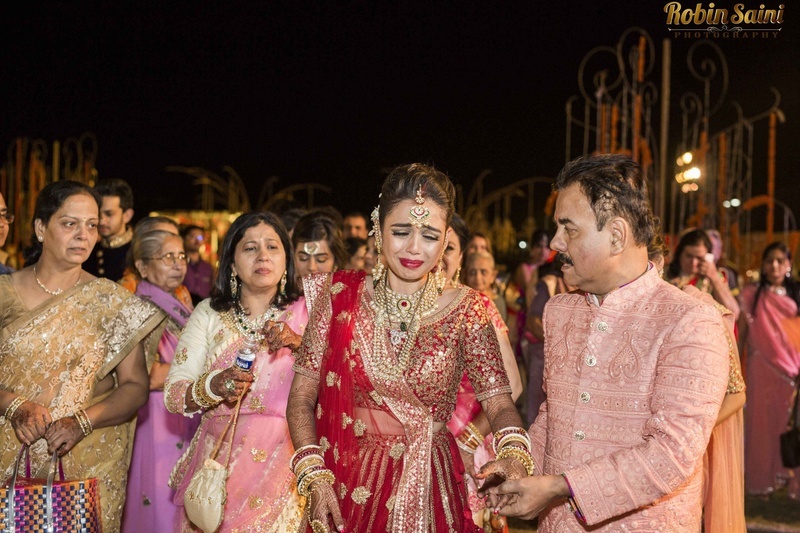 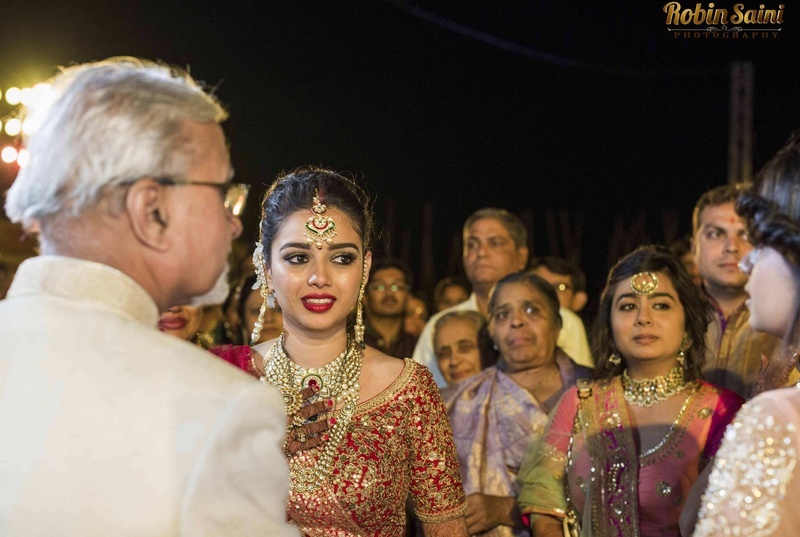 The wedding too was no short of big-time designer brands with the bride wearing a classic red and gold Sabyasachi and the groom in a similar hued Shymal and Bhumika sherwani. 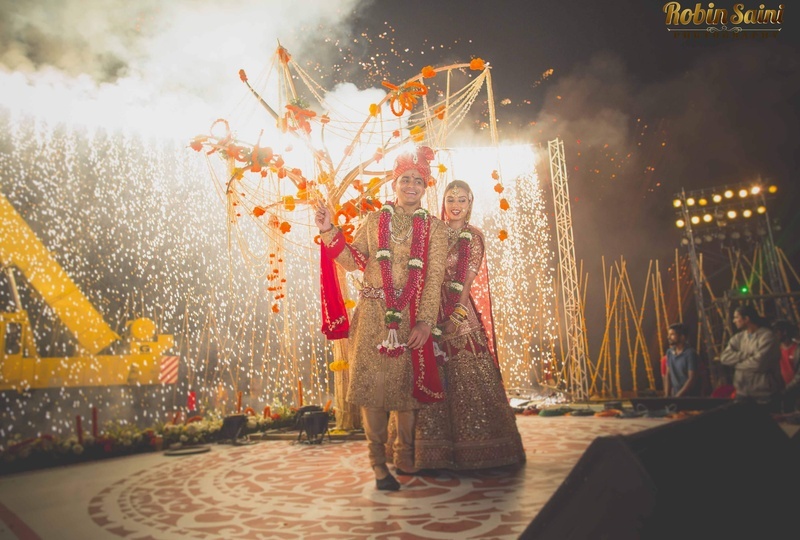 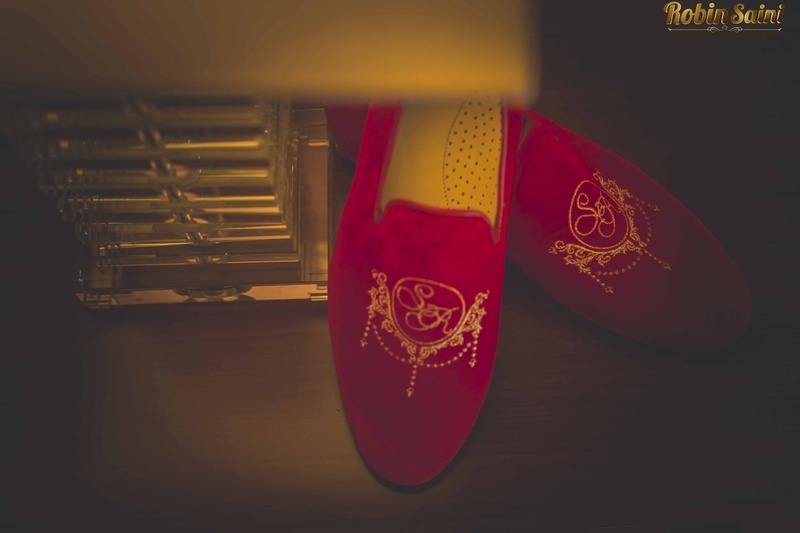 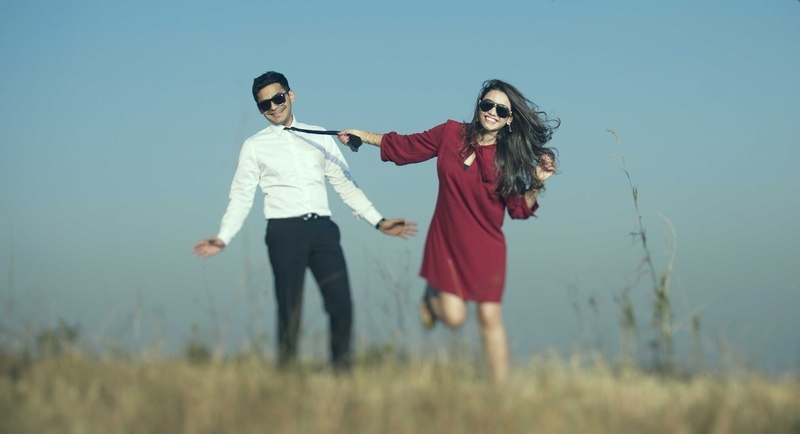 Allow this wedding to inspire you in ways no other wedding has before – from the wedding location, the designer outfits right down to the personalized décor details - scroll down to see! 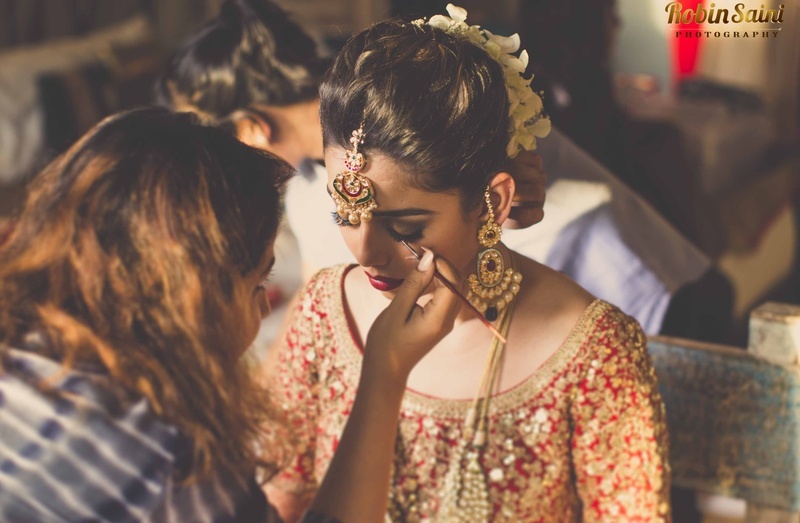 Sonam getting ready for her big day in style and swag!! 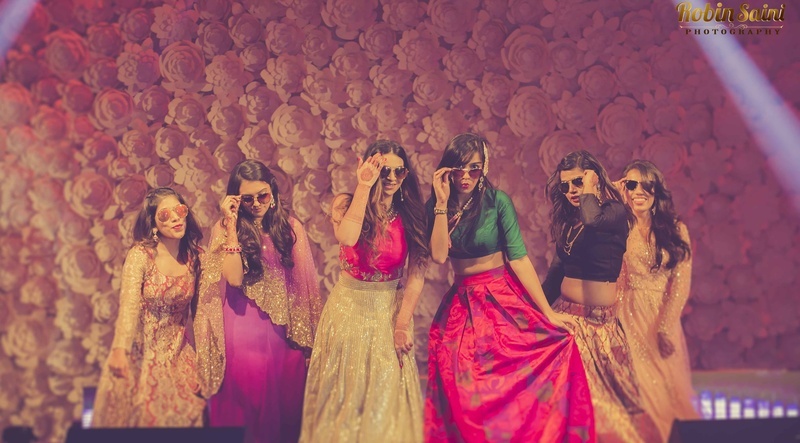 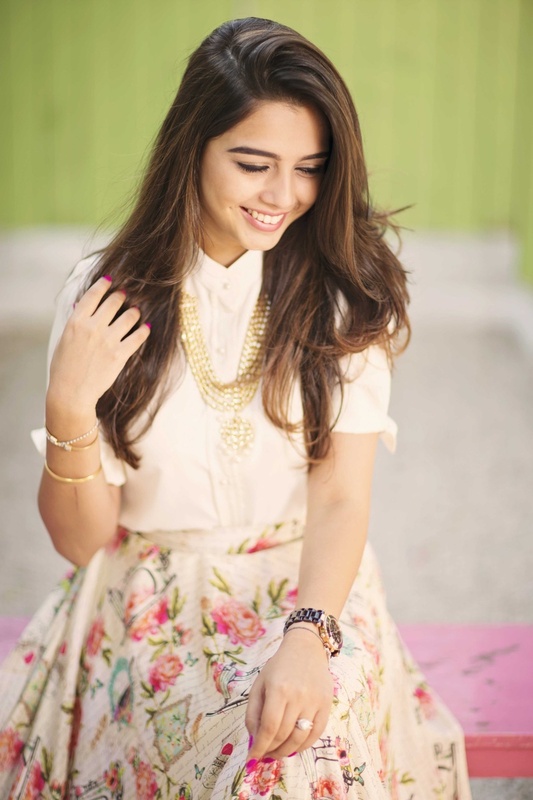 Decked up in glam outfits!